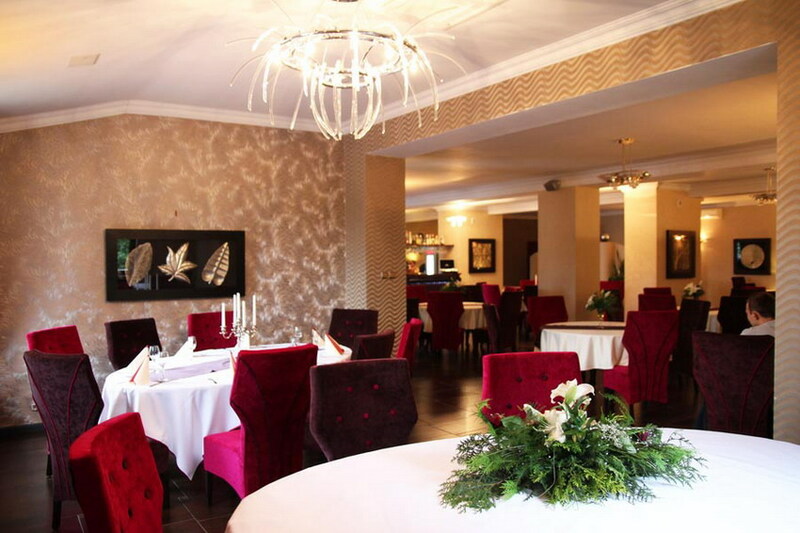 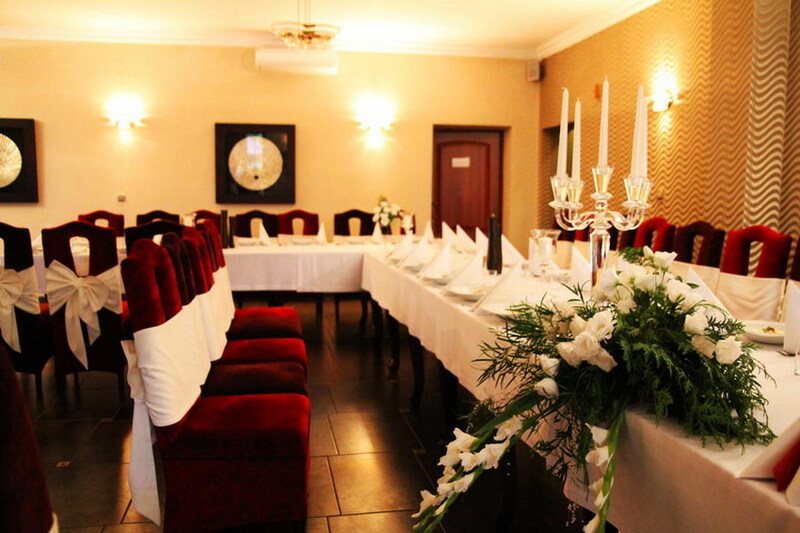 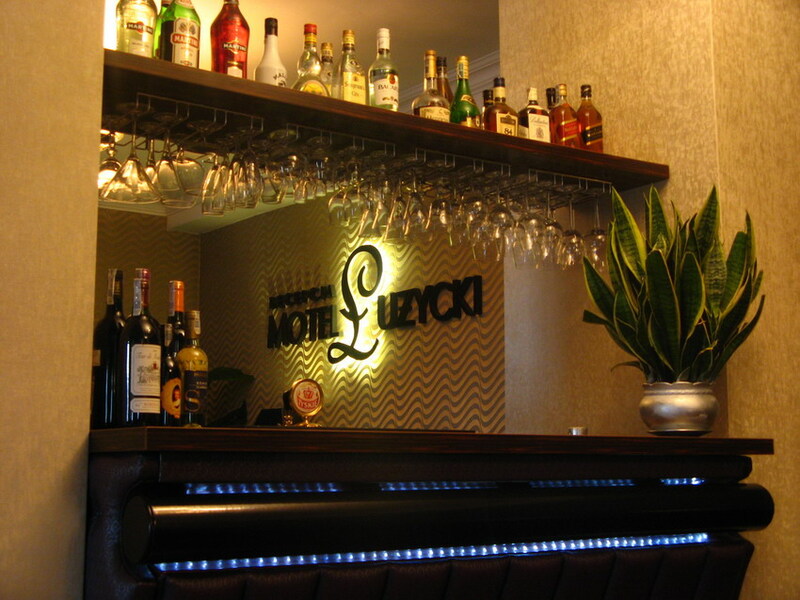 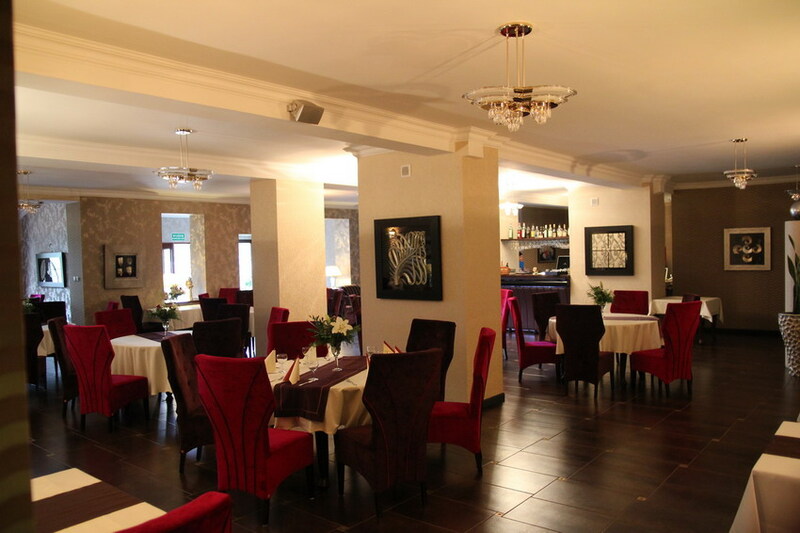 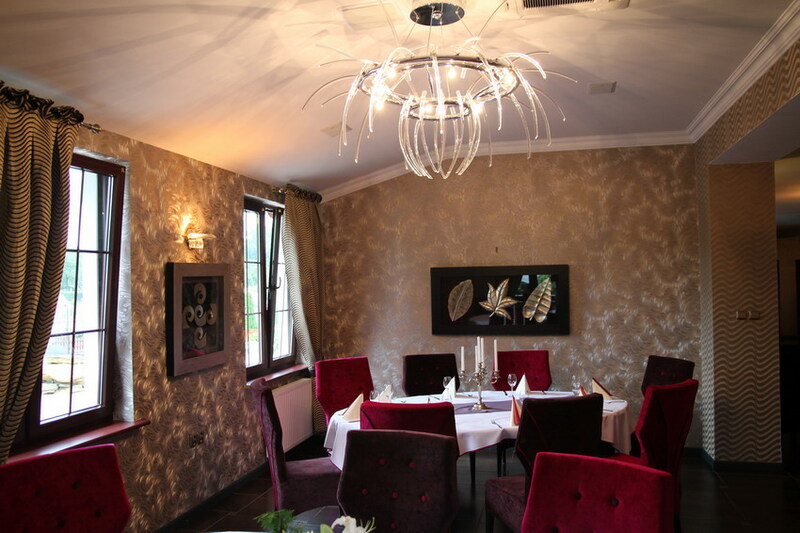 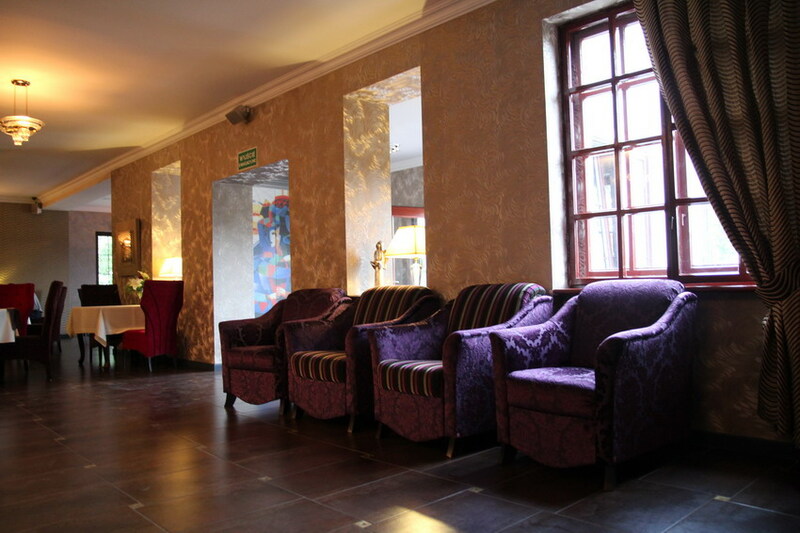 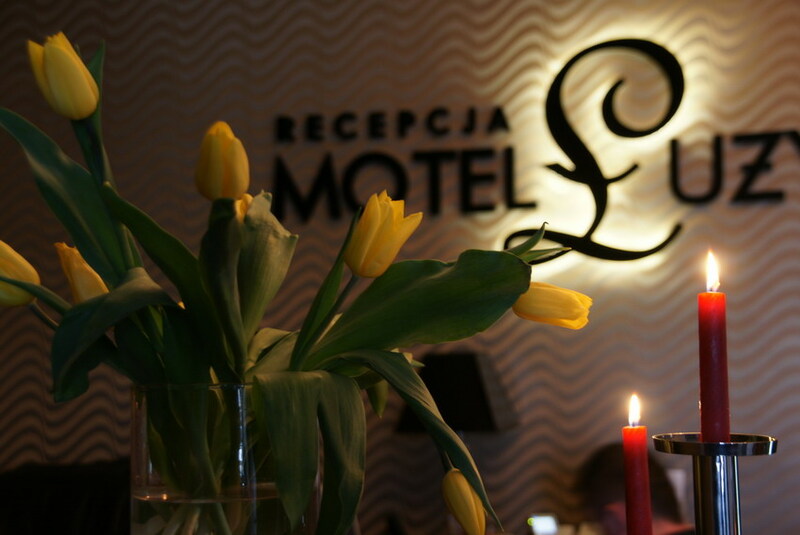 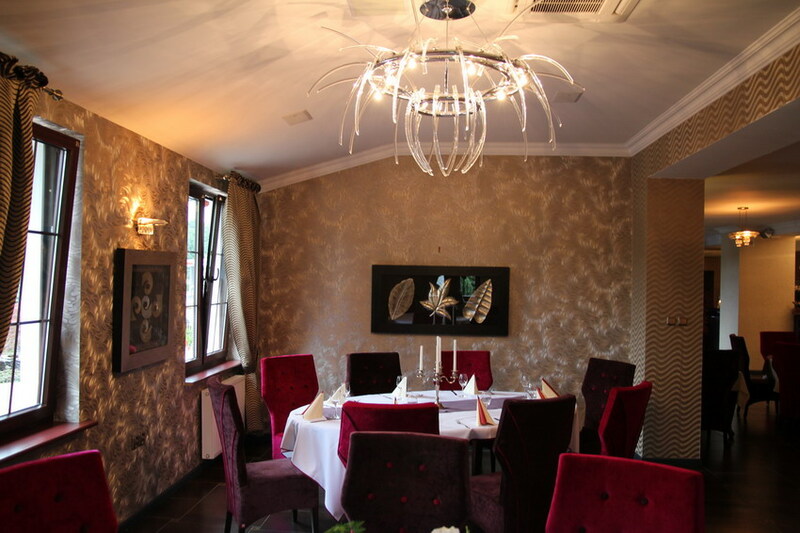 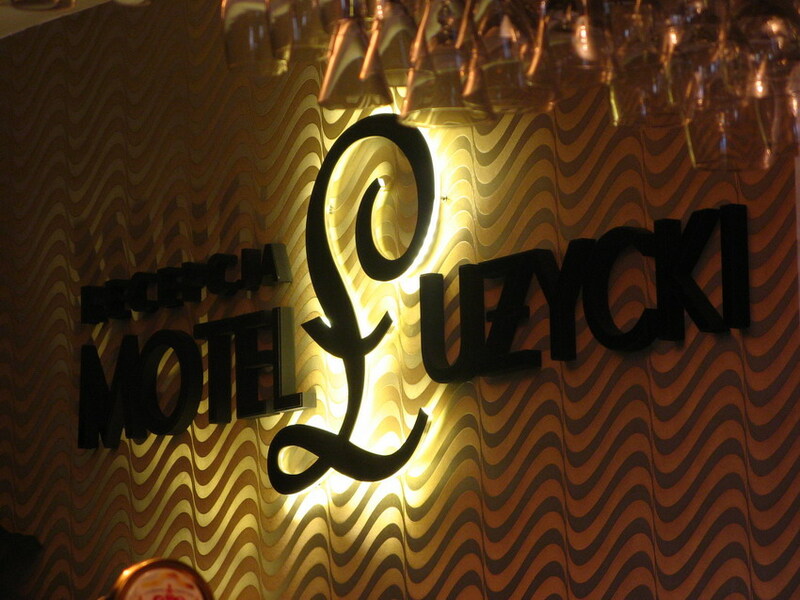 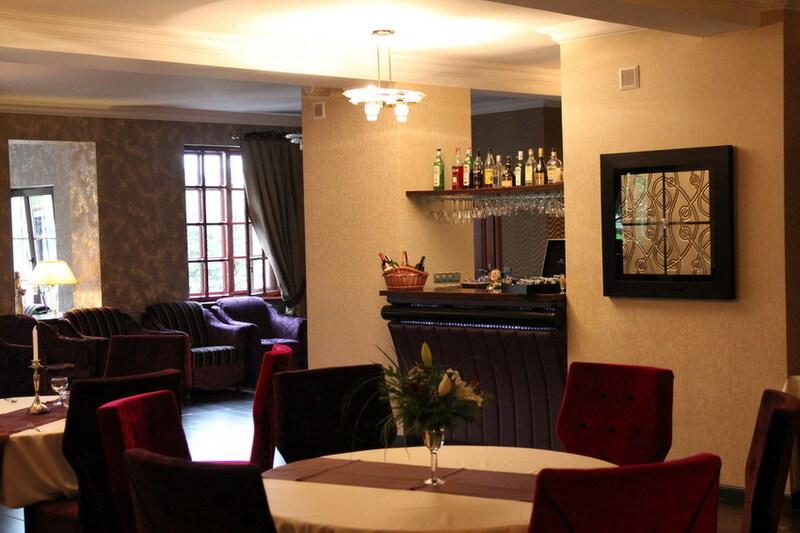 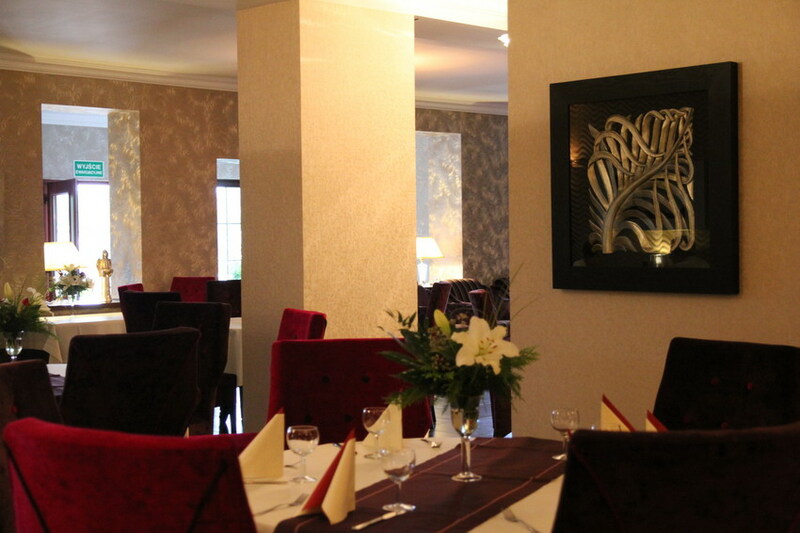 In our stylish and cosy restaurant facilities we offer dishes of the traditional Polish cuisine, as well as the European one. 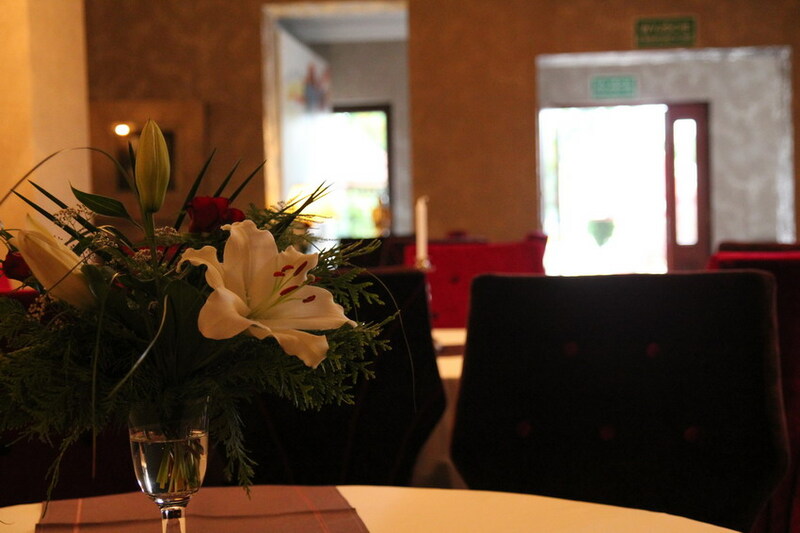 Our cooks care a great deal for our dishes not only to be tasty, but also to be healthy and finely served. 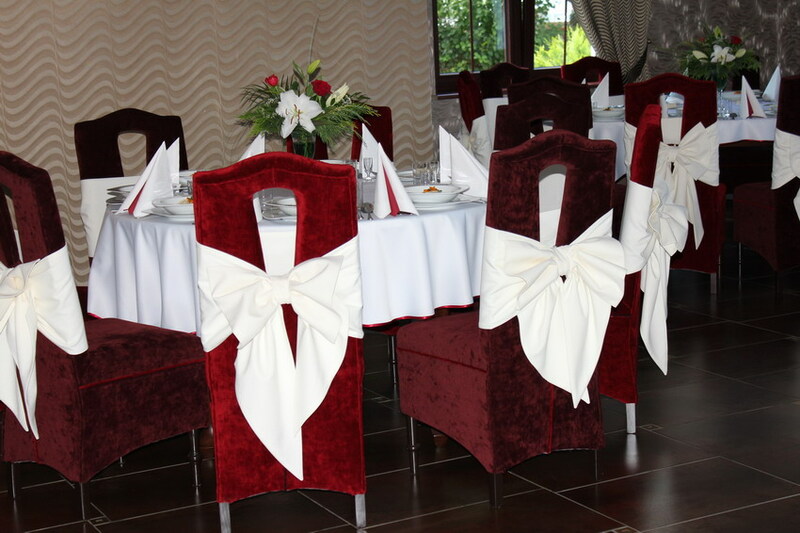 You are welcome to a lunch during your lunch break, to an exquisite family dinner, or to a romantic night out with a glass of wine. 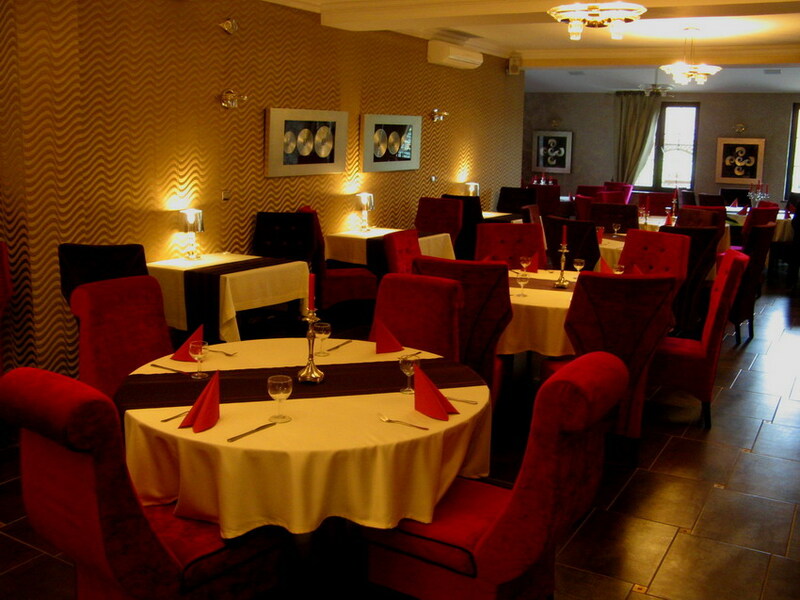 The wide range of the delicacies of our cuisine will satisfy even most sophisticated tastes. 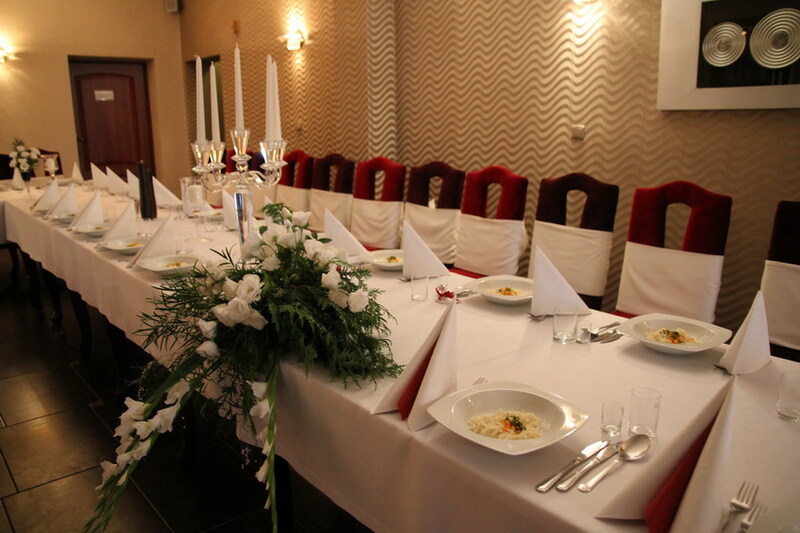 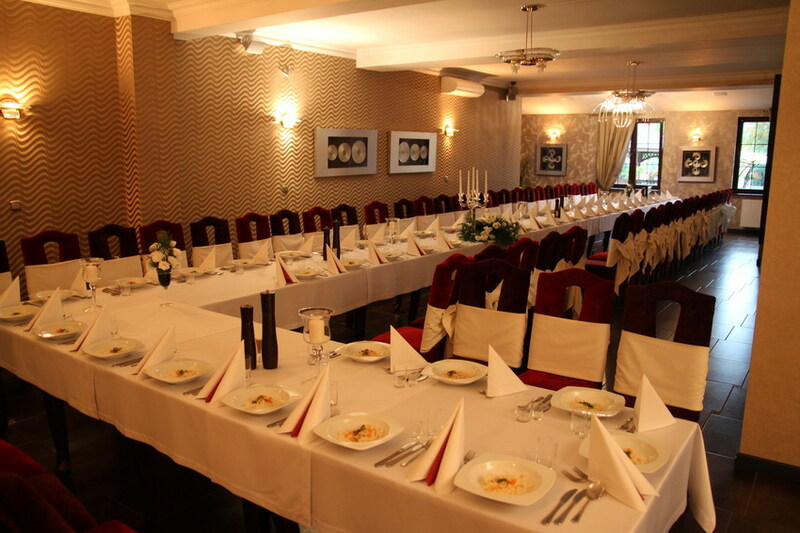 We mainly serve traditional Polish dishes, but also a vegetarian guest will be able to choose from a good selection of vegetable and fish dishes and salads/ snacks. 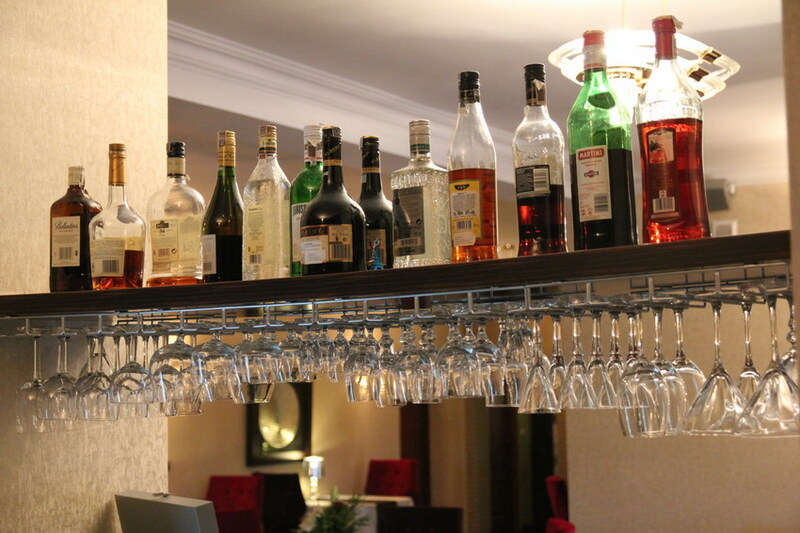 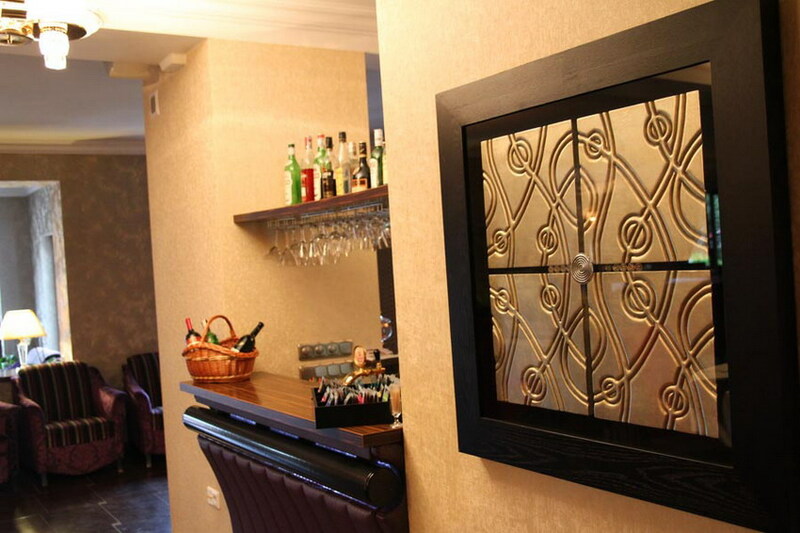 With your meals you will also enjoy a good wine selection from all over the world. 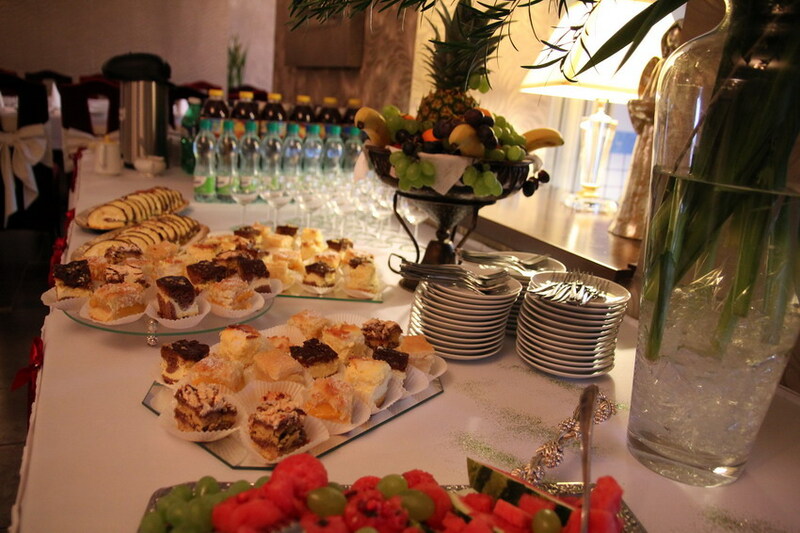 For dessert we offer our homemade cakes. 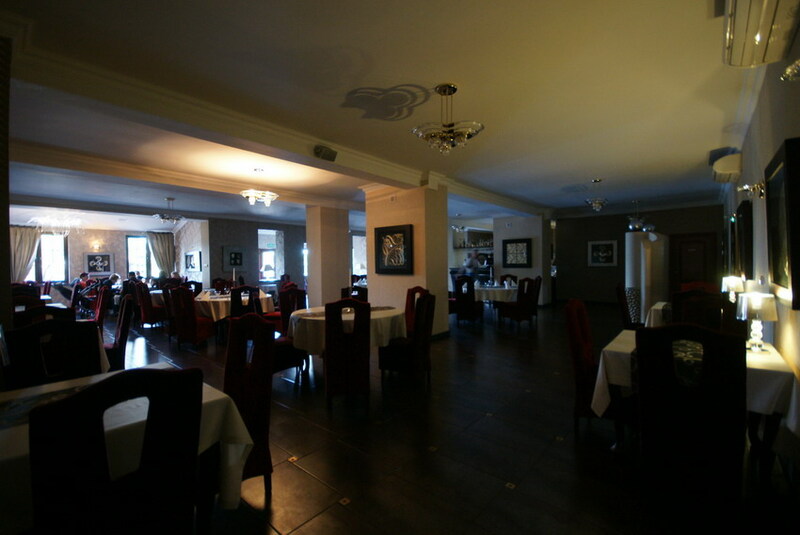 The restaurant room is the largest room in our motel. 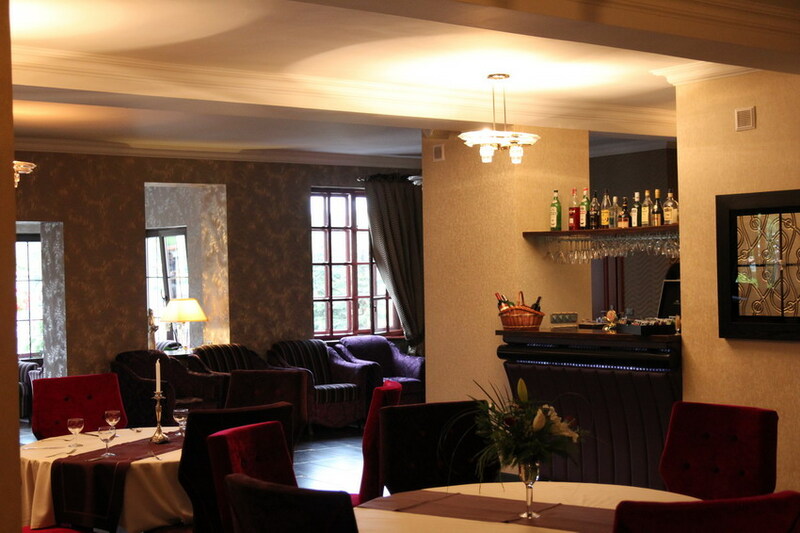 There are also a reception desk and a bar here. 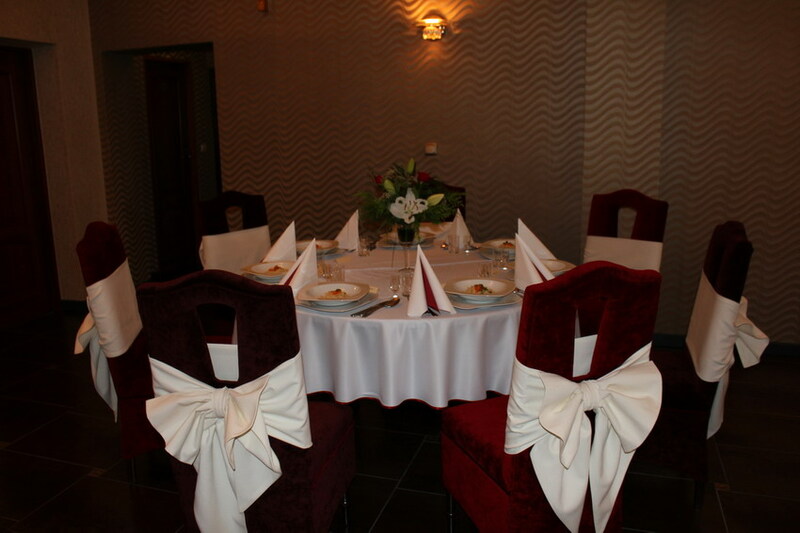 The guests who use our accommodation facilities as well as the guests who only come to have a meal in our restaurant will mainly be served here. 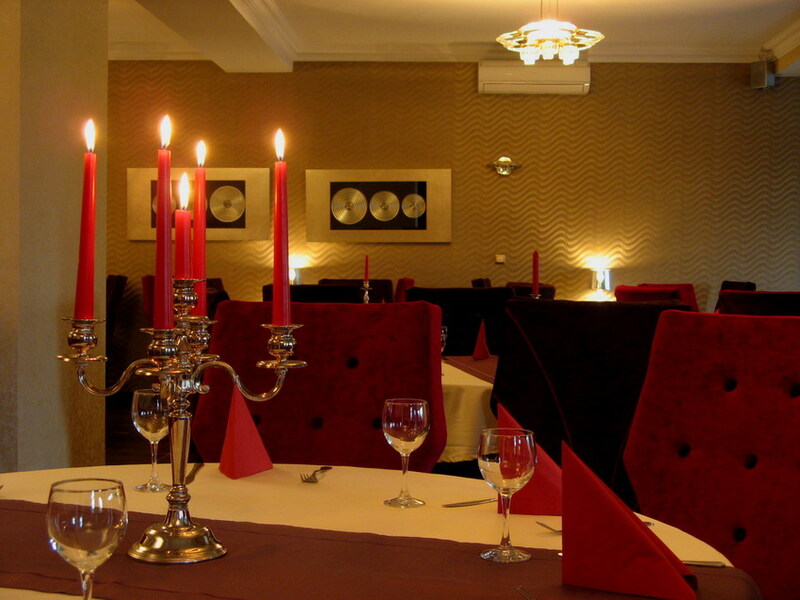 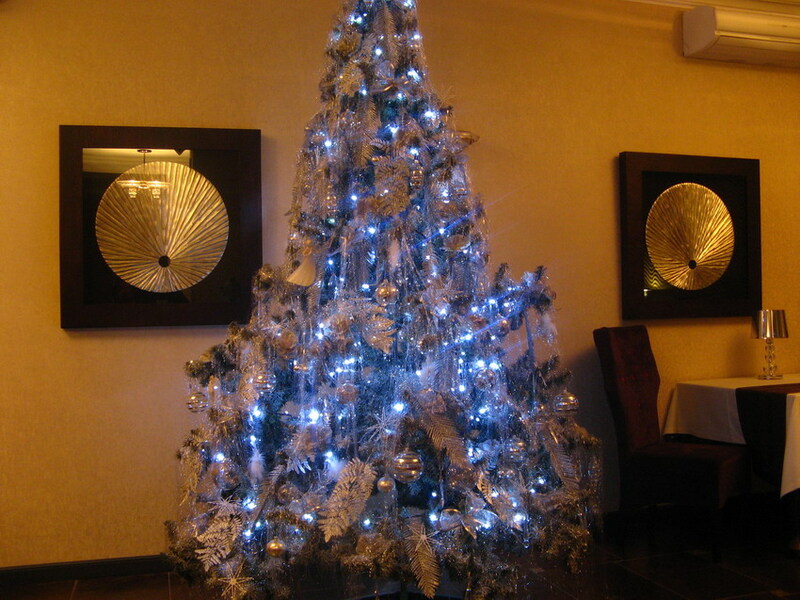 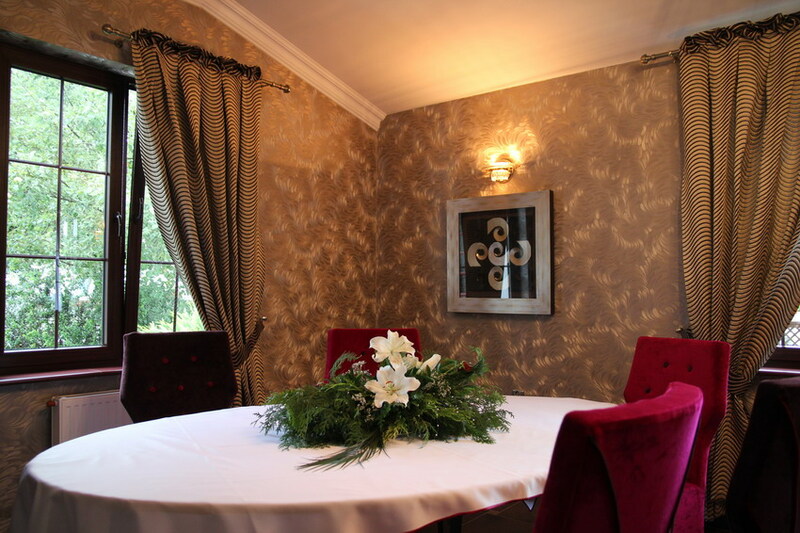 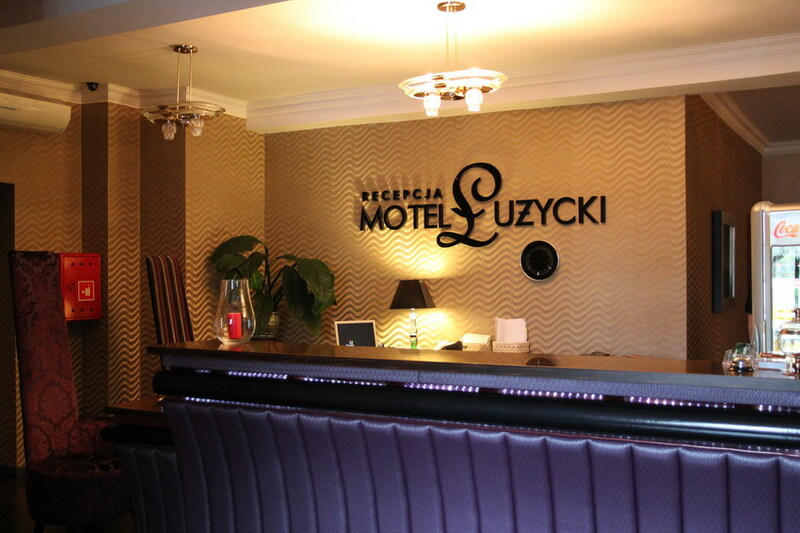 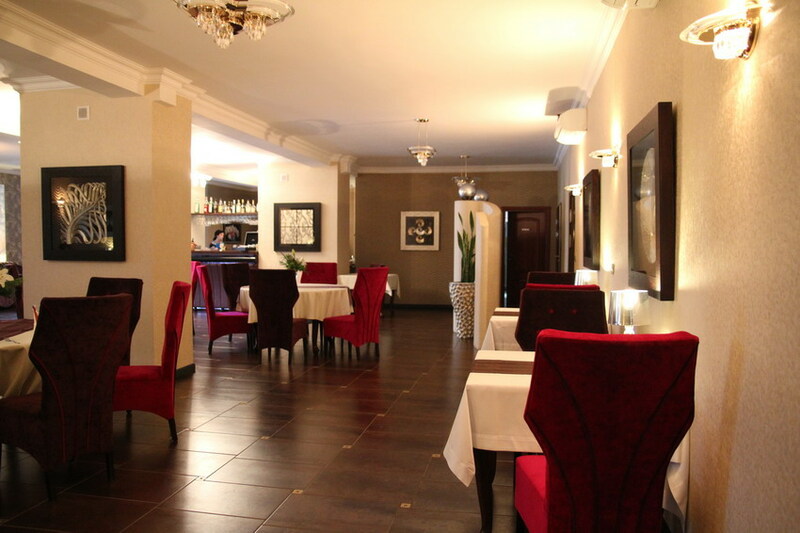 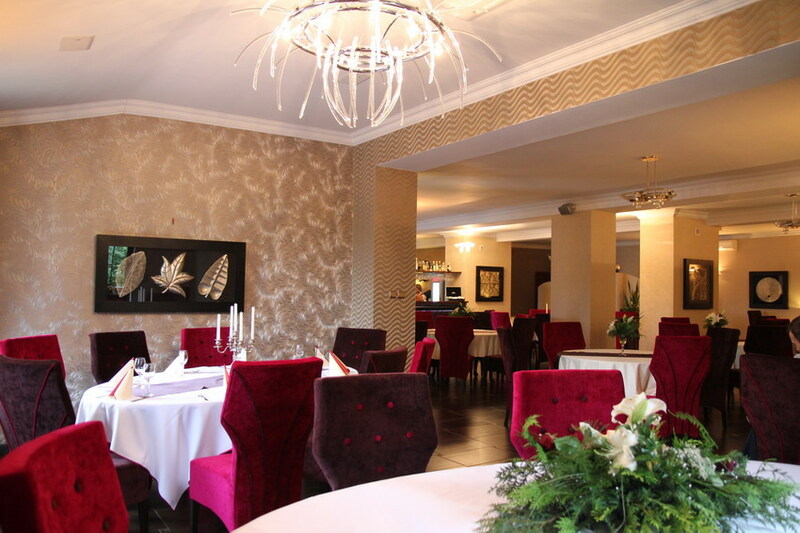 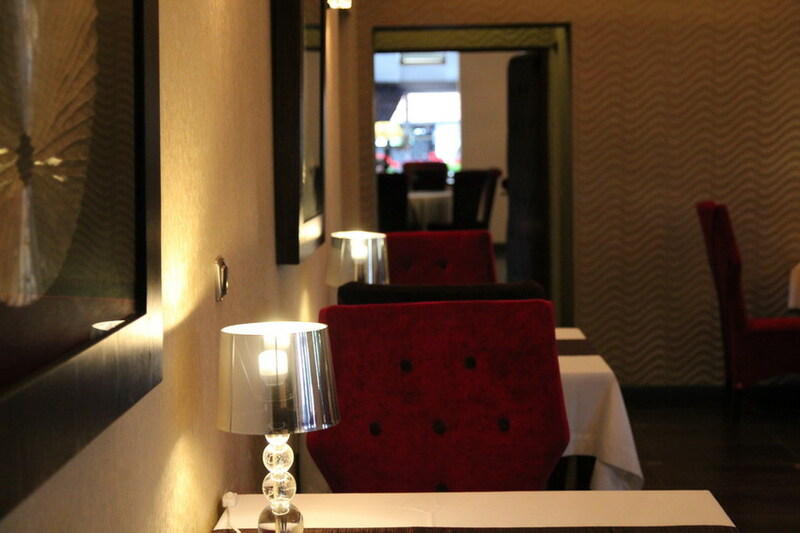 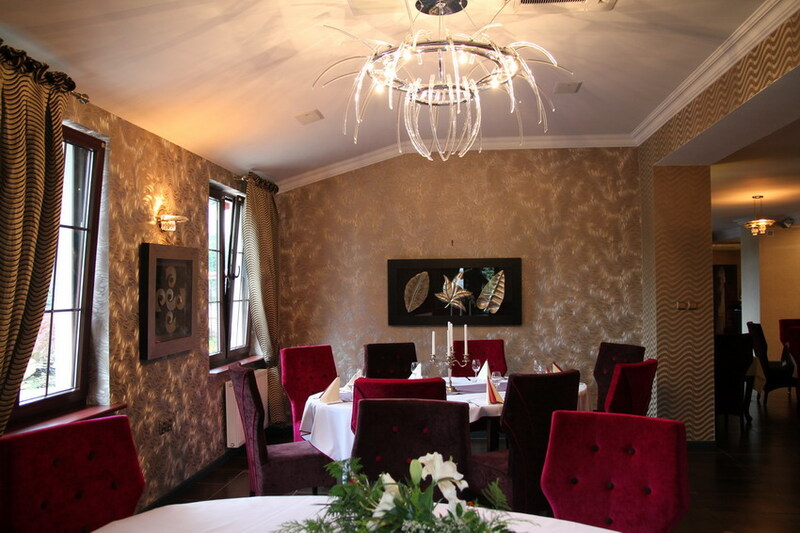 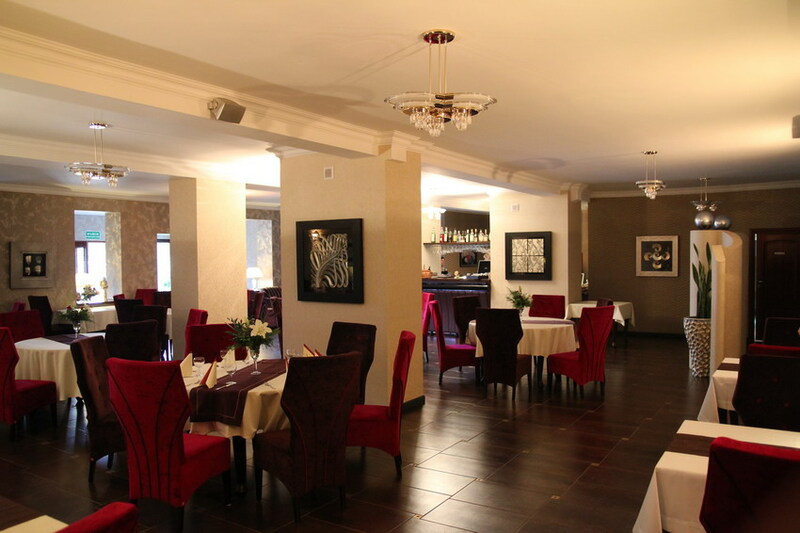 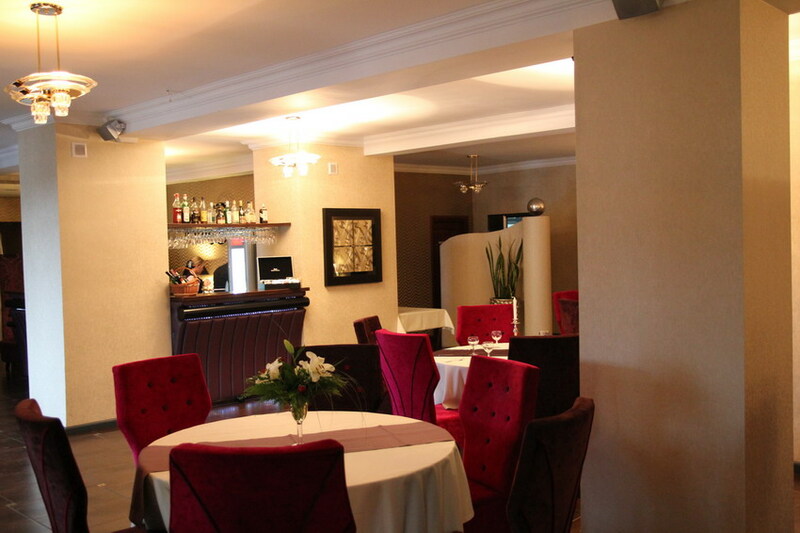 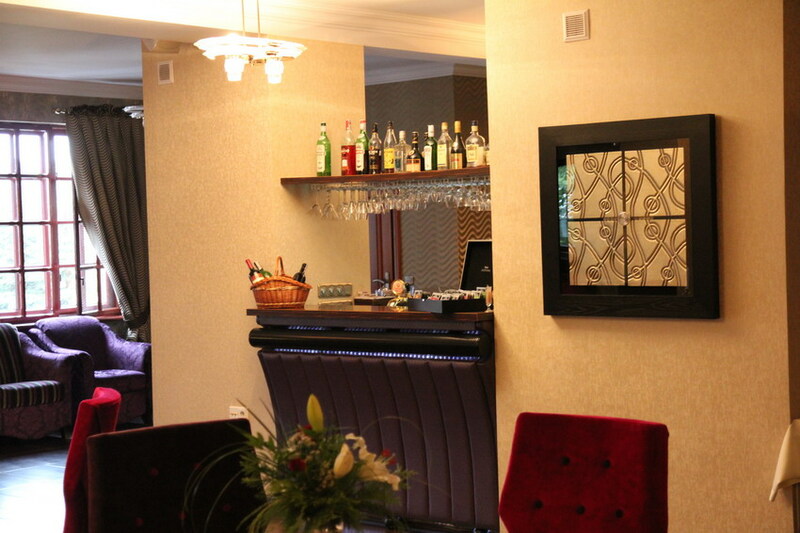 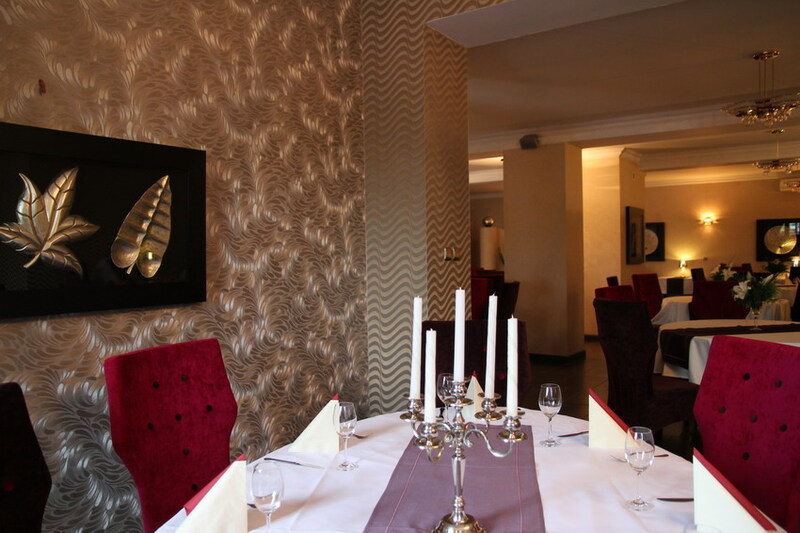 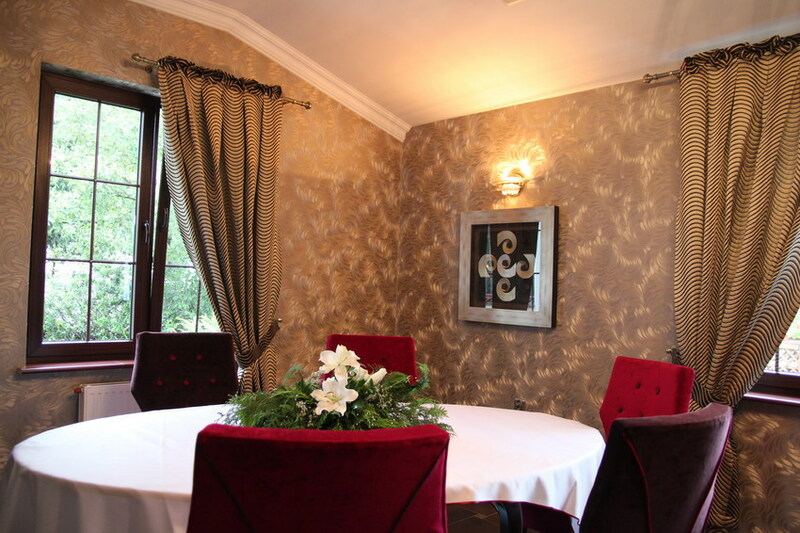 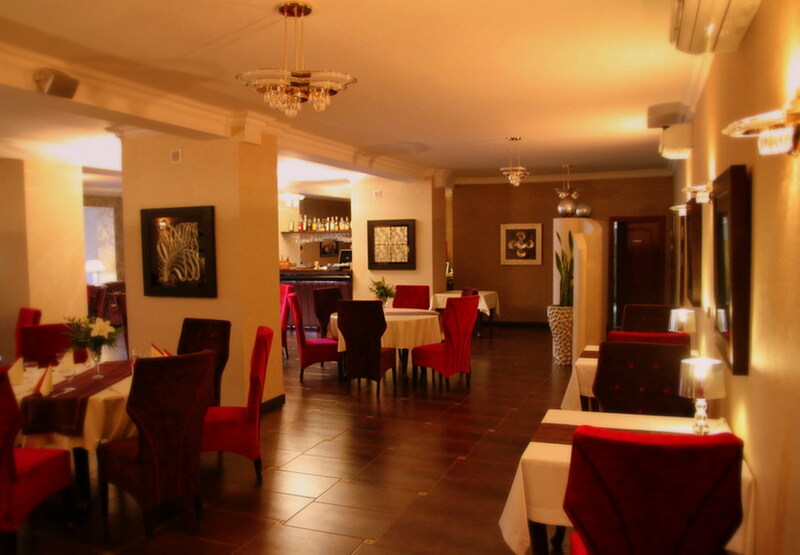 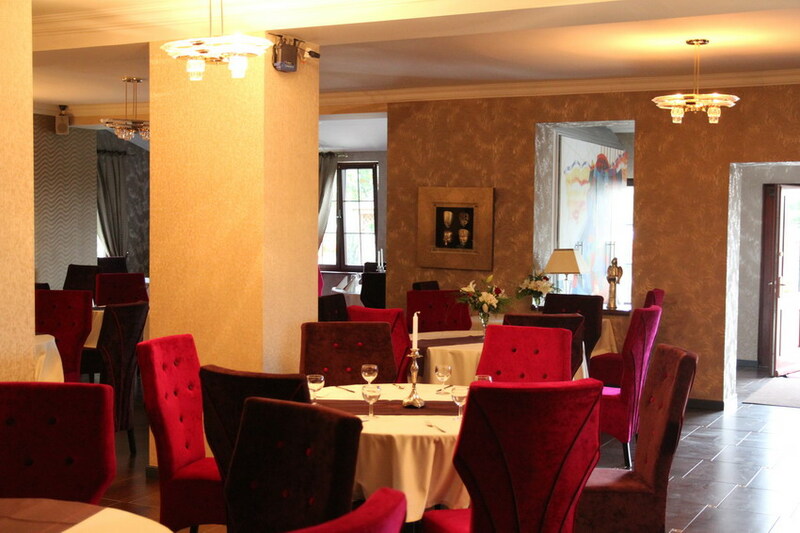 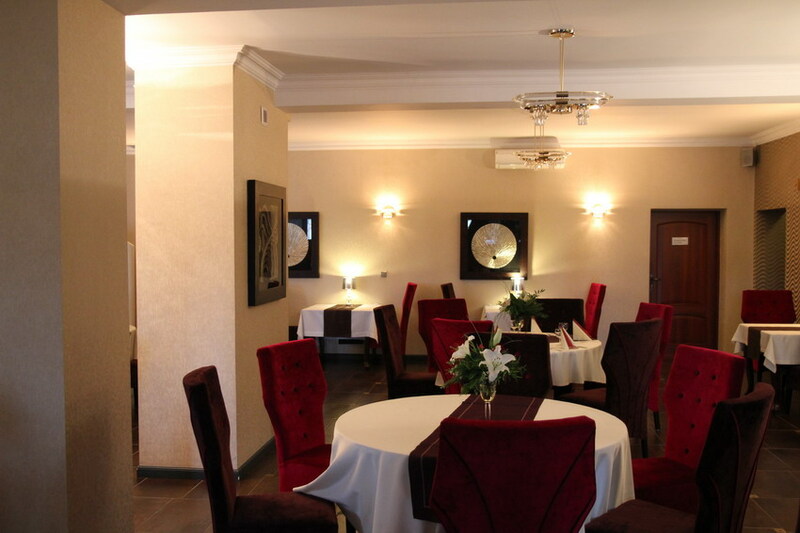 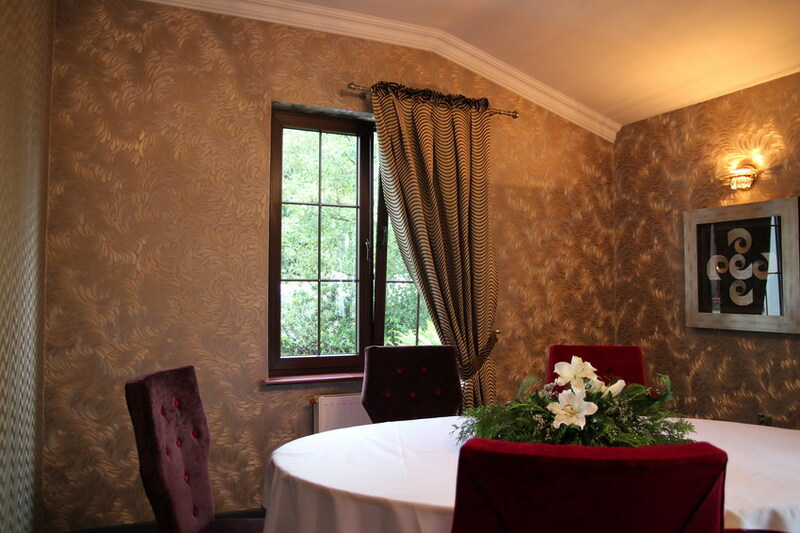 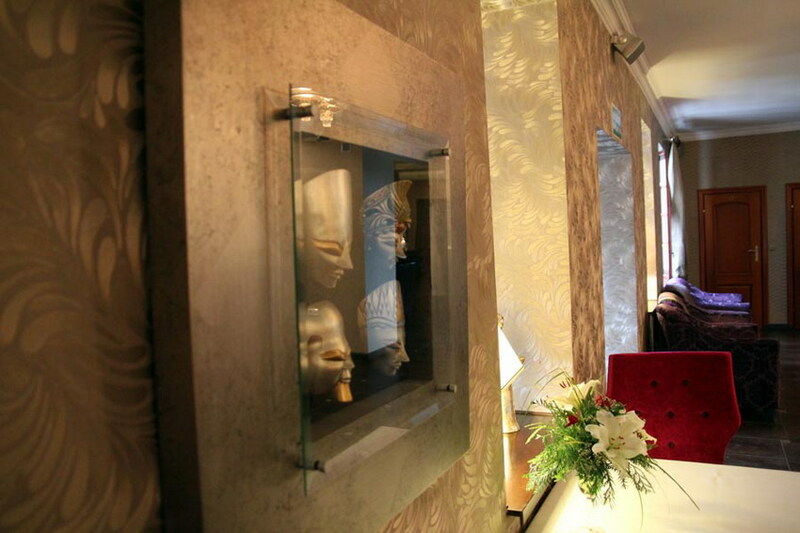 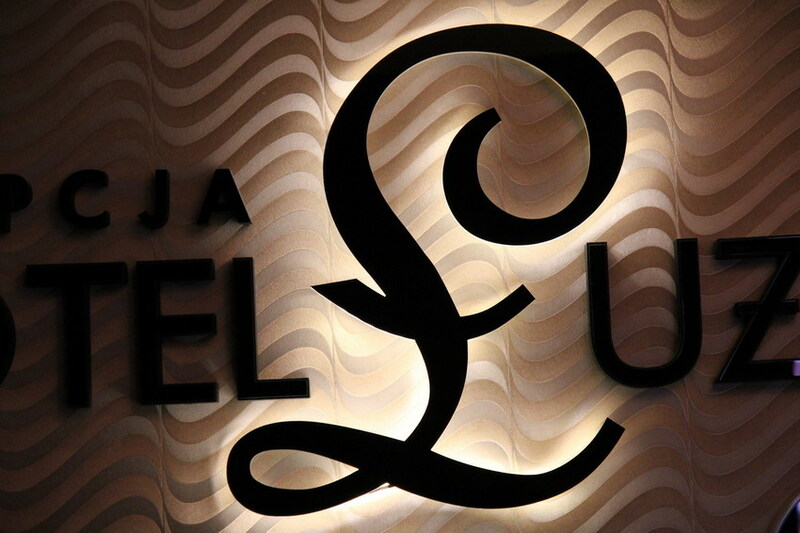 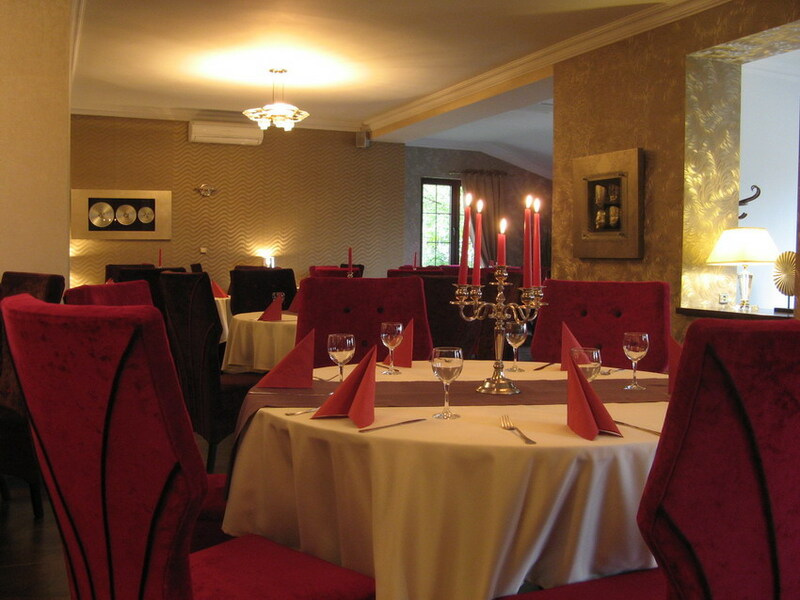 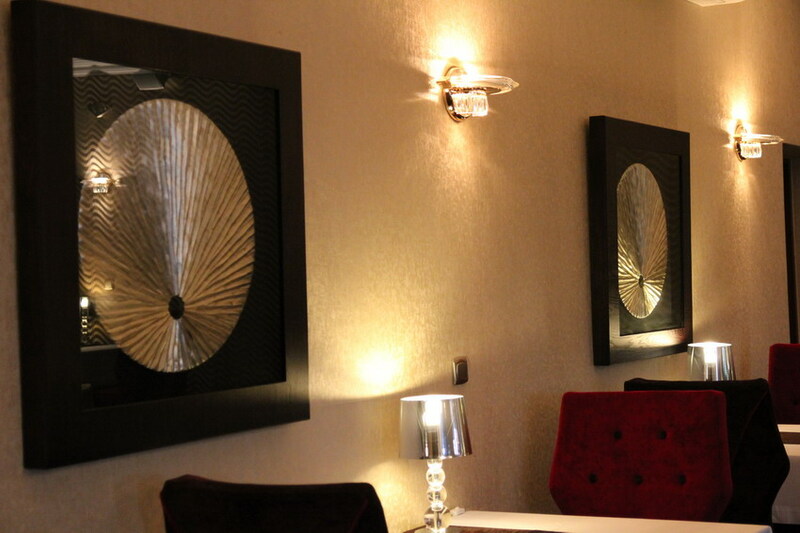 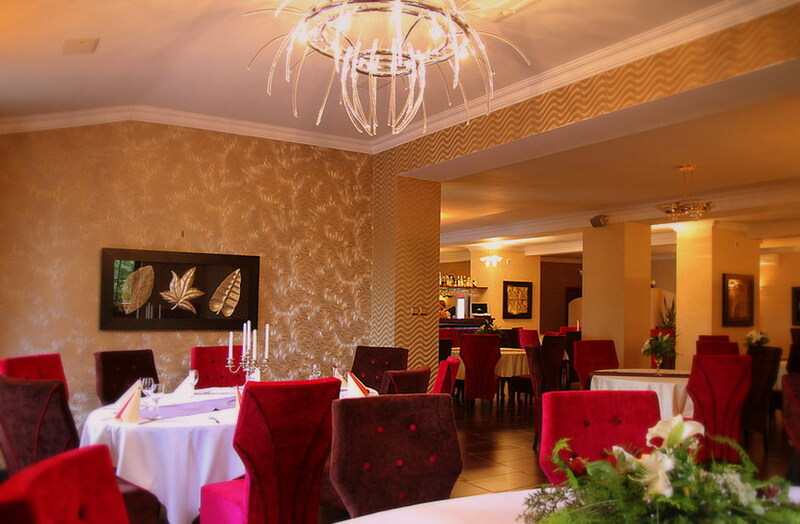 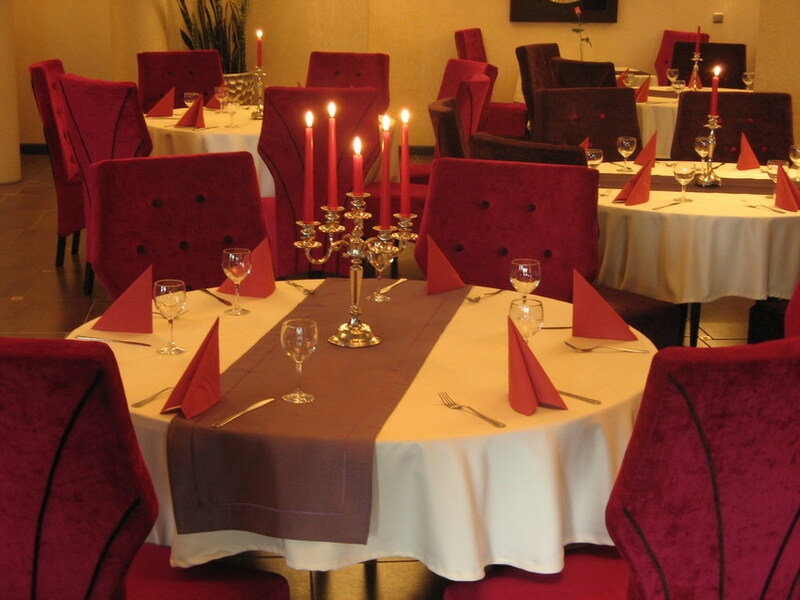 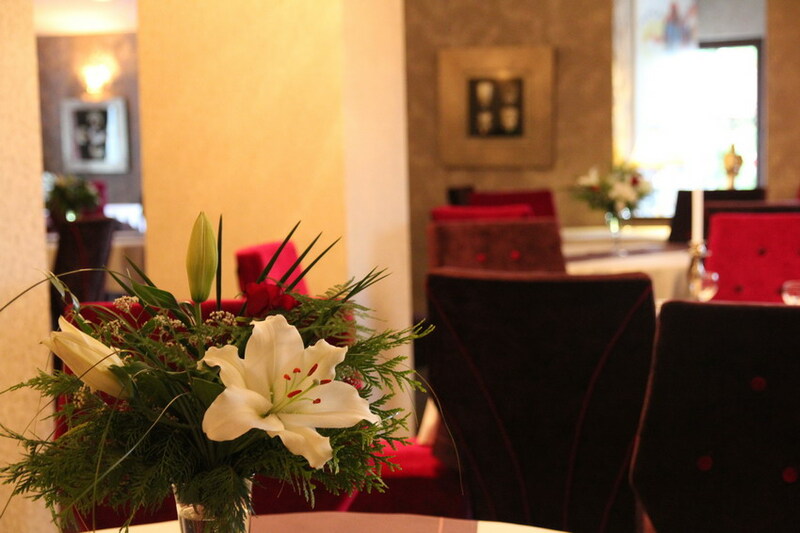 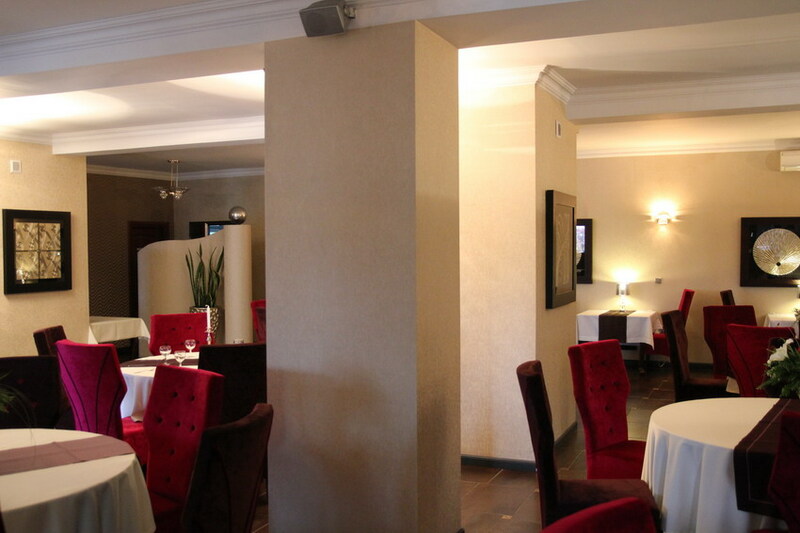 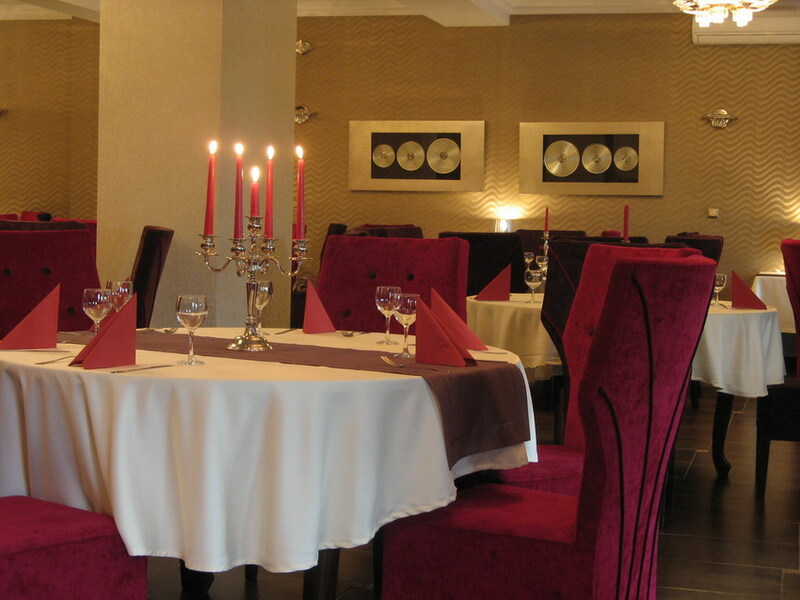 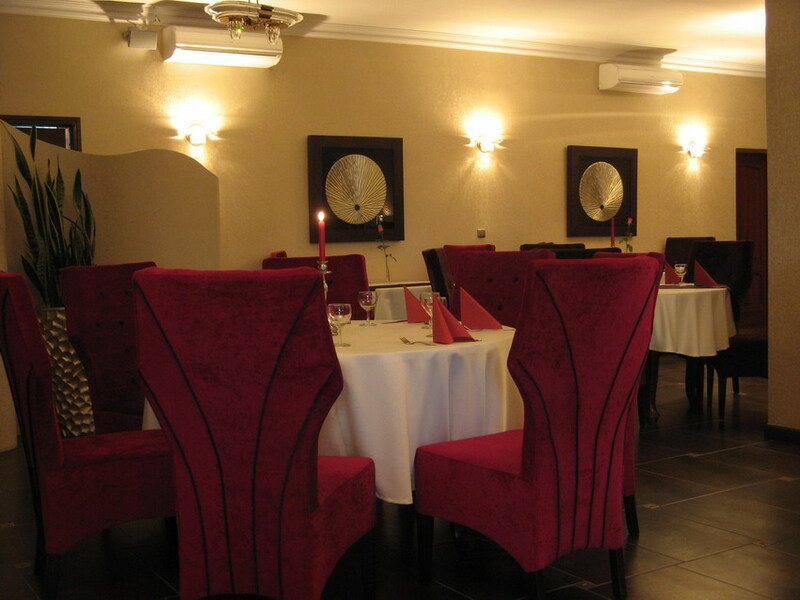 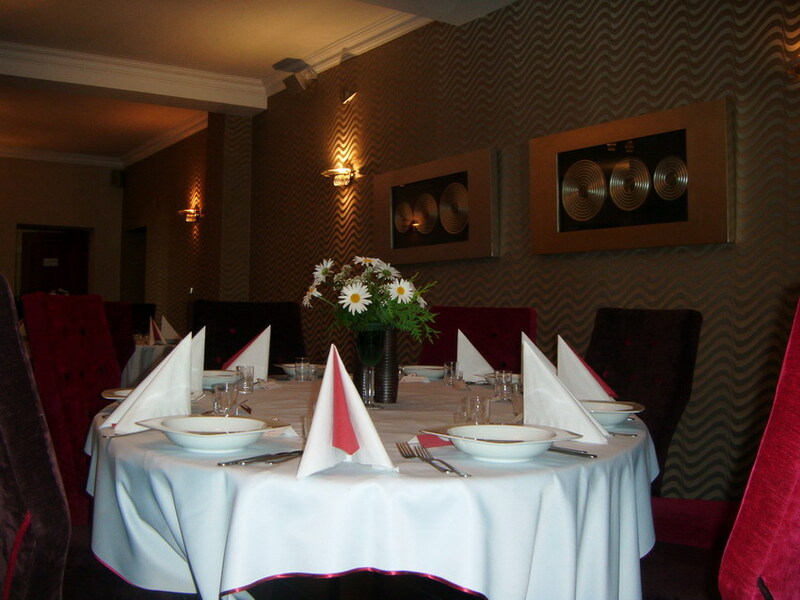 For our individual guests we have a good-value-for-money, a’la carte menu. 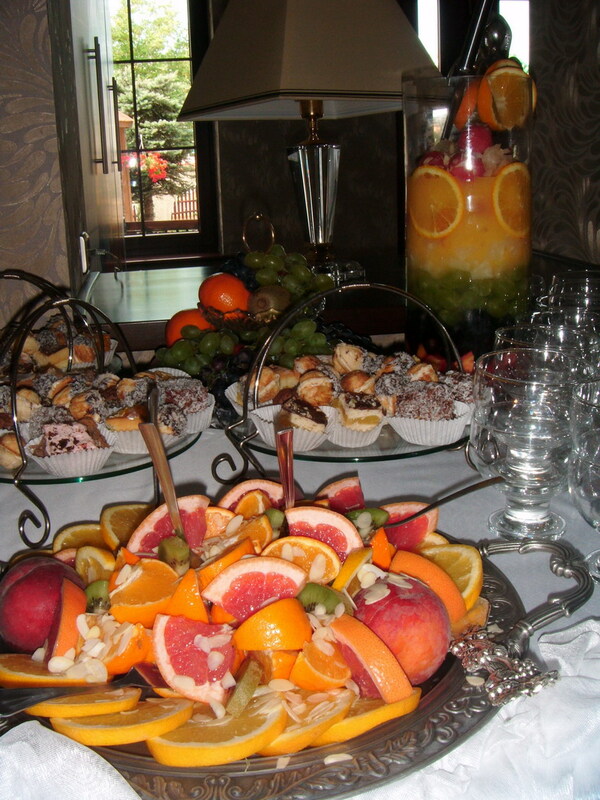 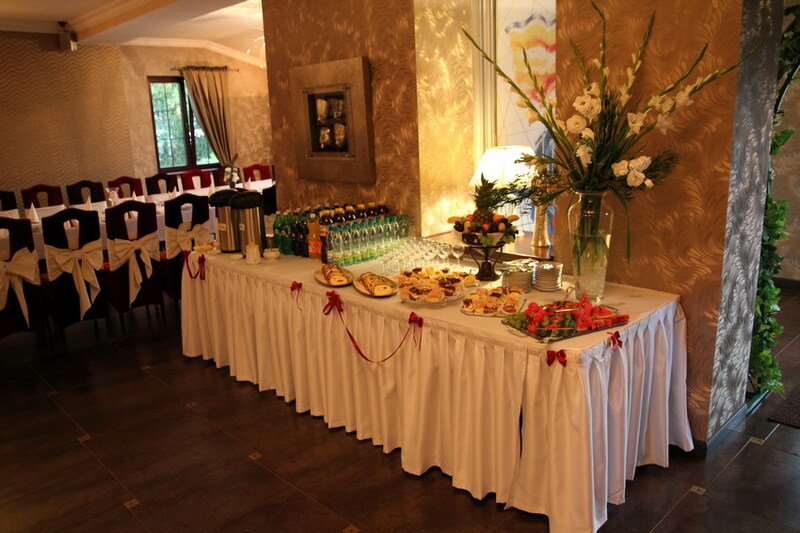 According to any specific needs group prices, including catering and service will be negotiated individually. 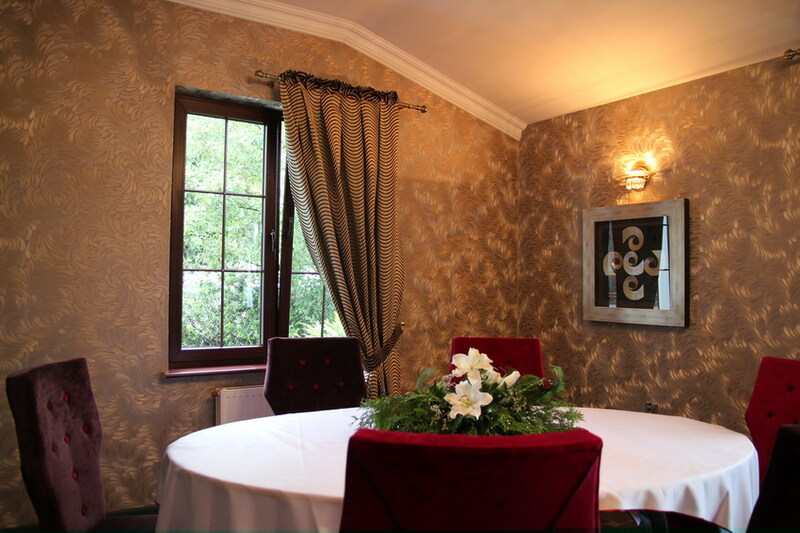 The restaurant room itself can accommodate 110 guests, with the adjacent Fireplace Room and Baroque Room accommodating further 65 guests, which gives us the opportunity to serve meetings/gatherings up to 175 guests. 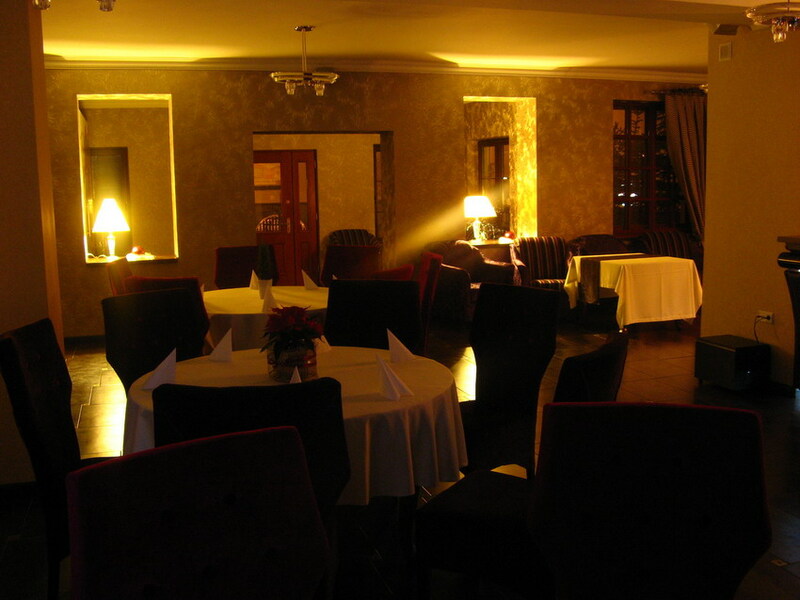 There is also a dance floor here. 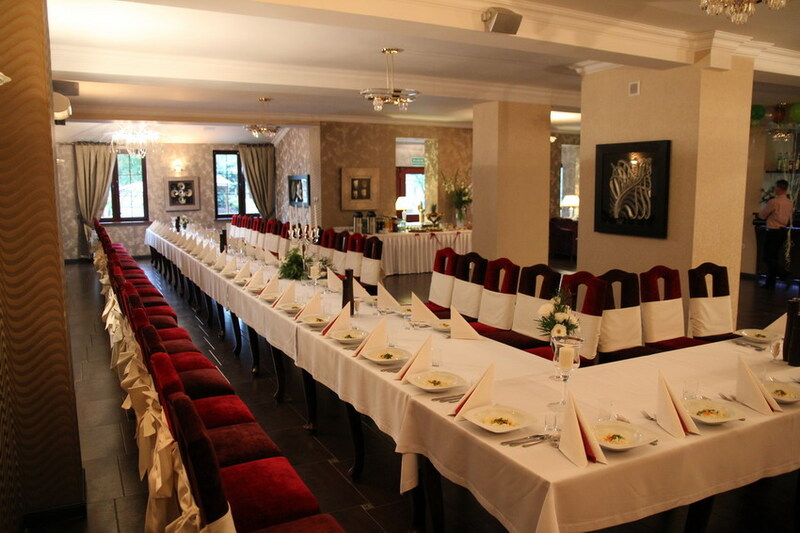 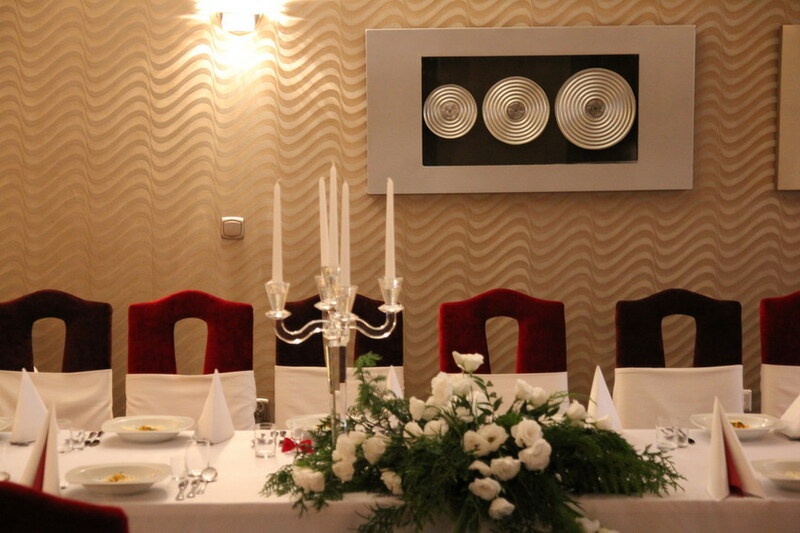 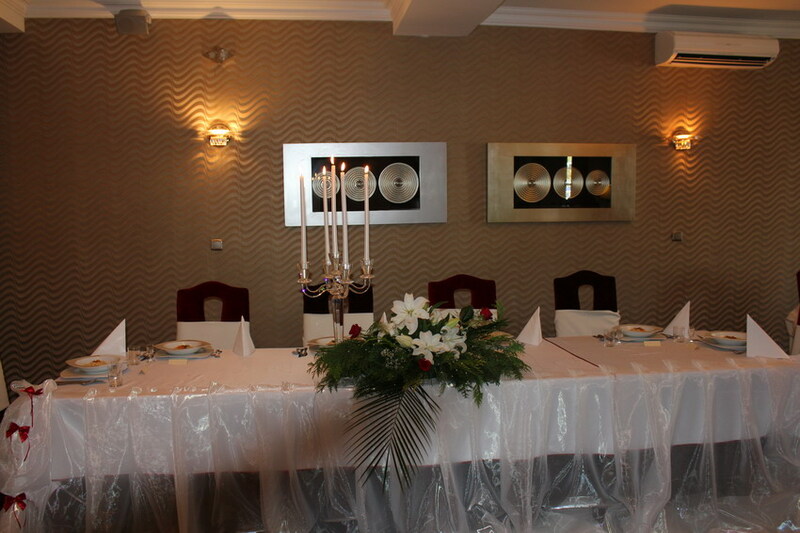 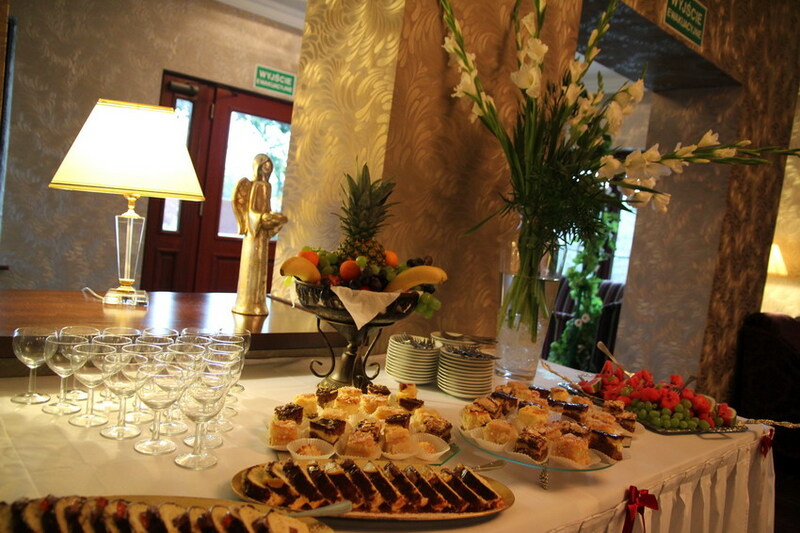 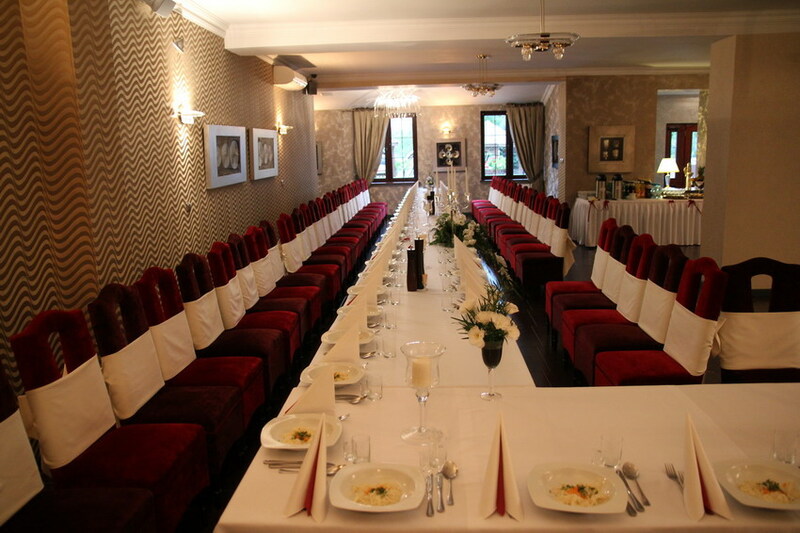 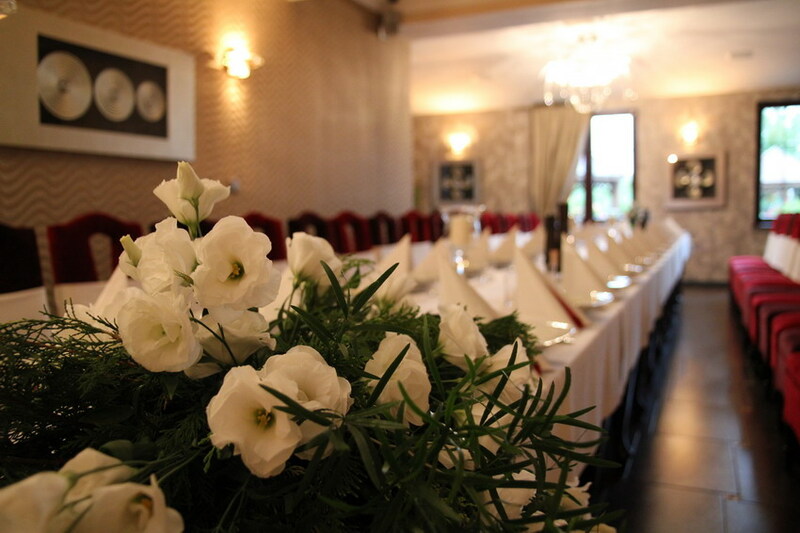 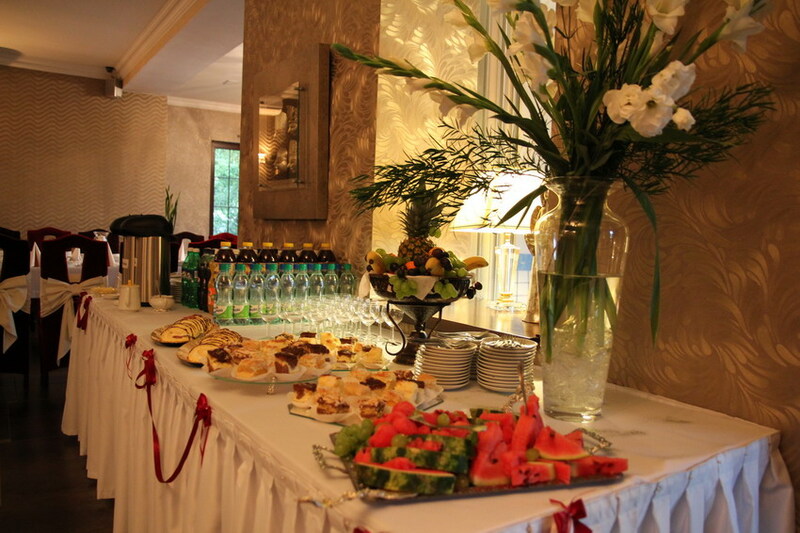 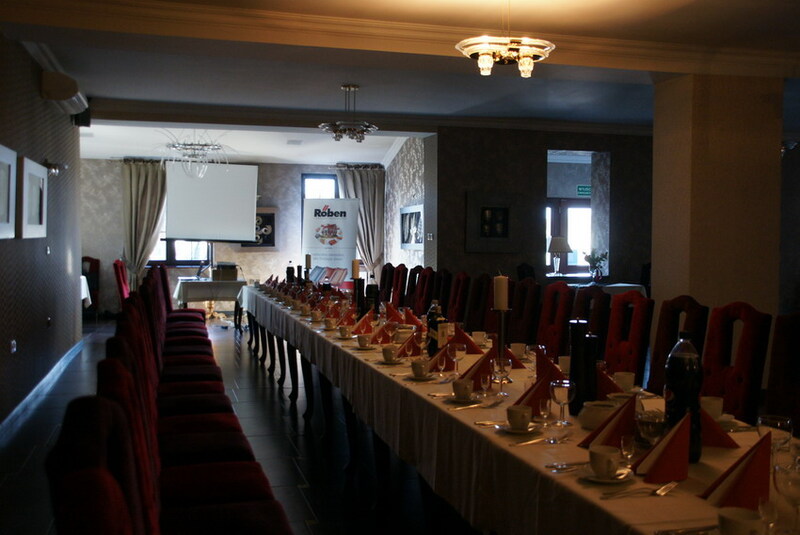 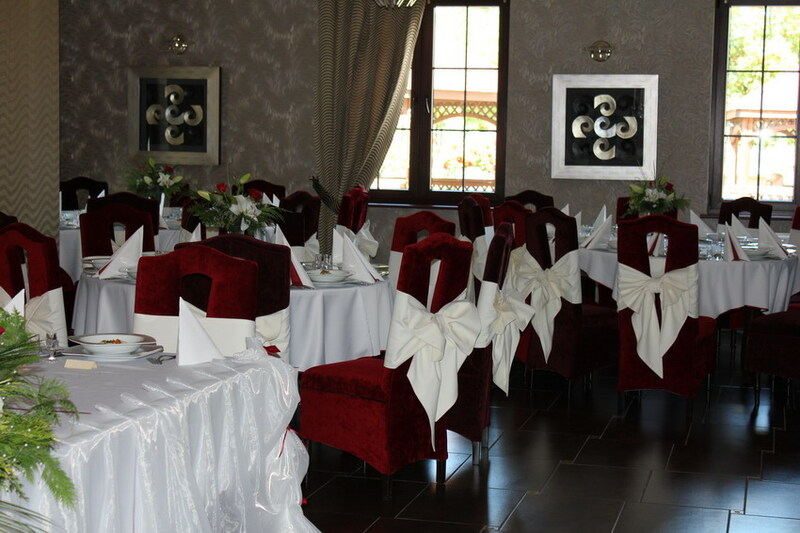 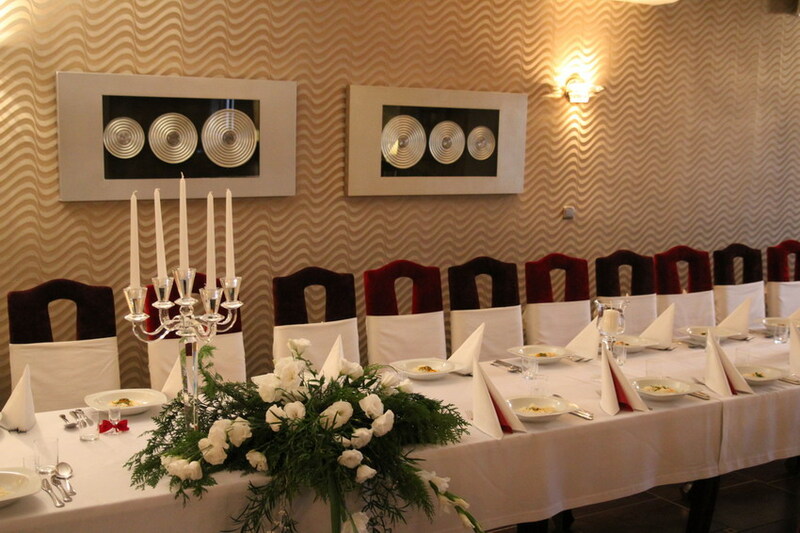 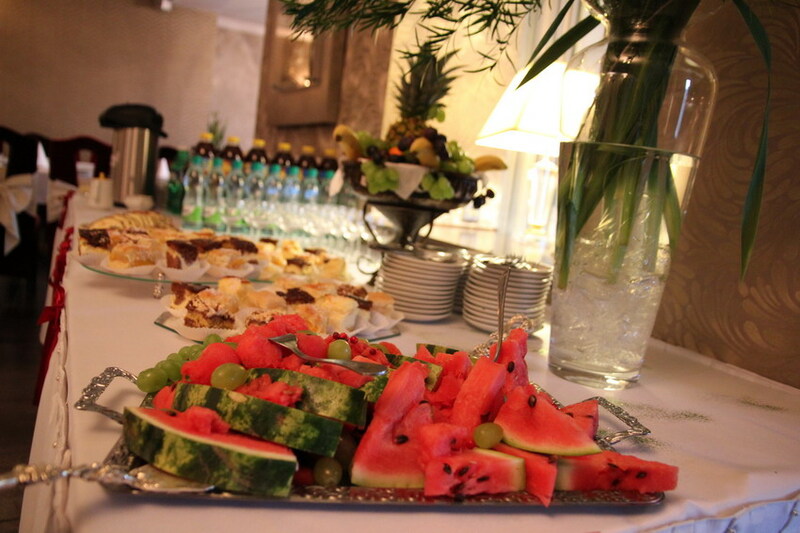 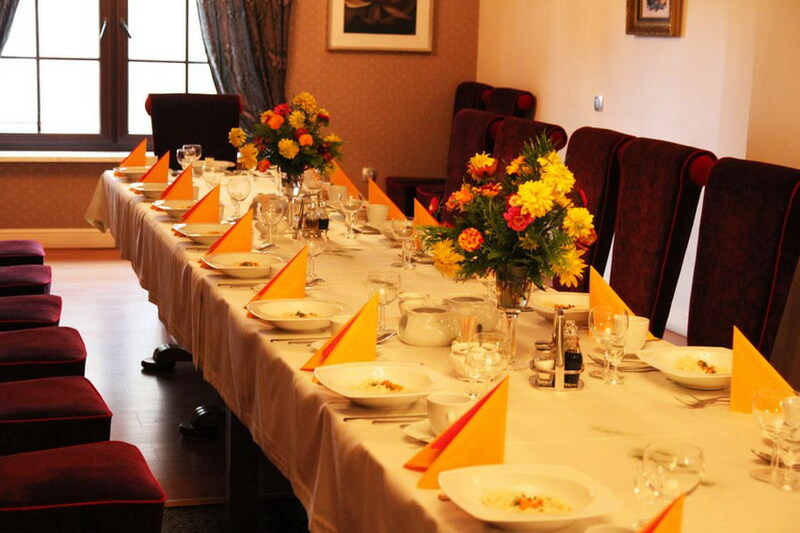 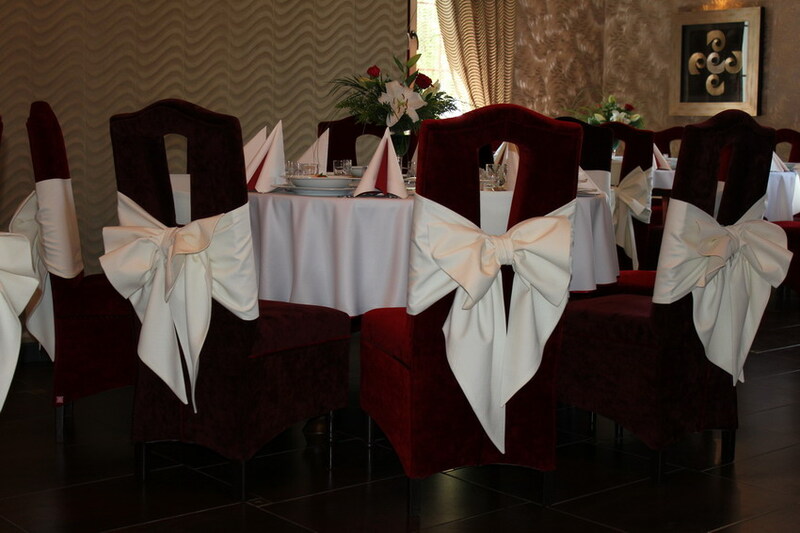 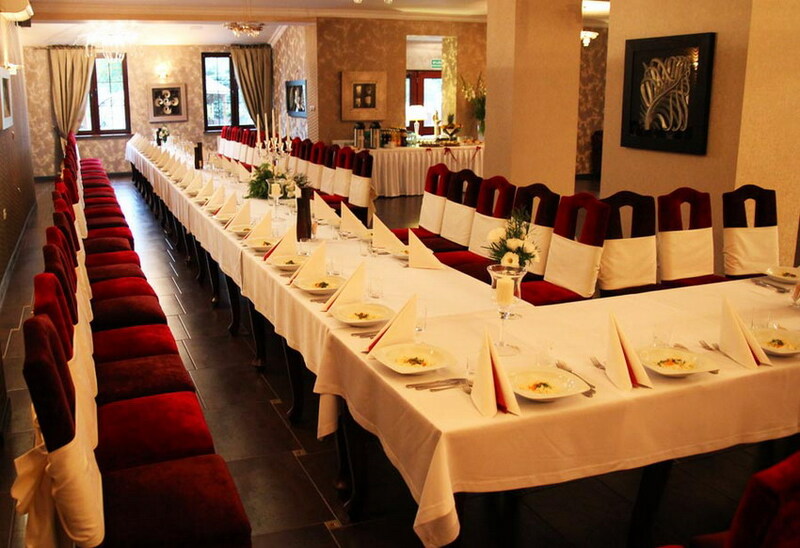 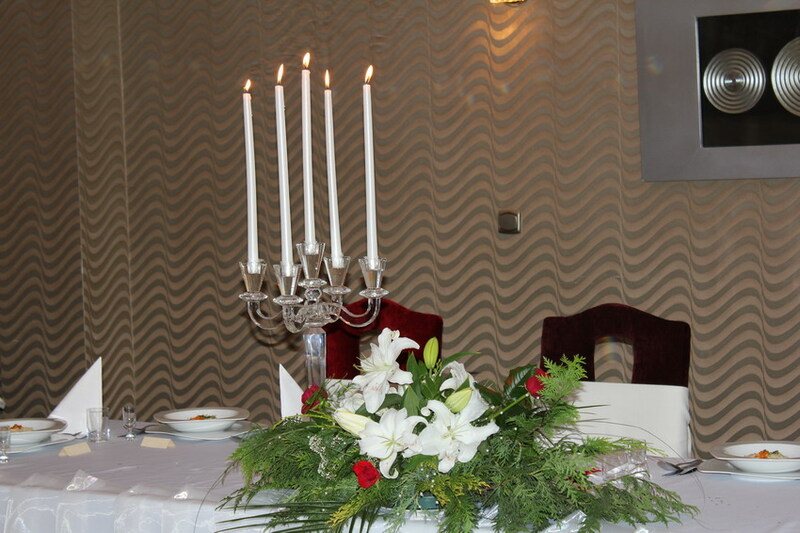 During staff training sessions and with a typical table arrangement up to 150 guests can be catered for. 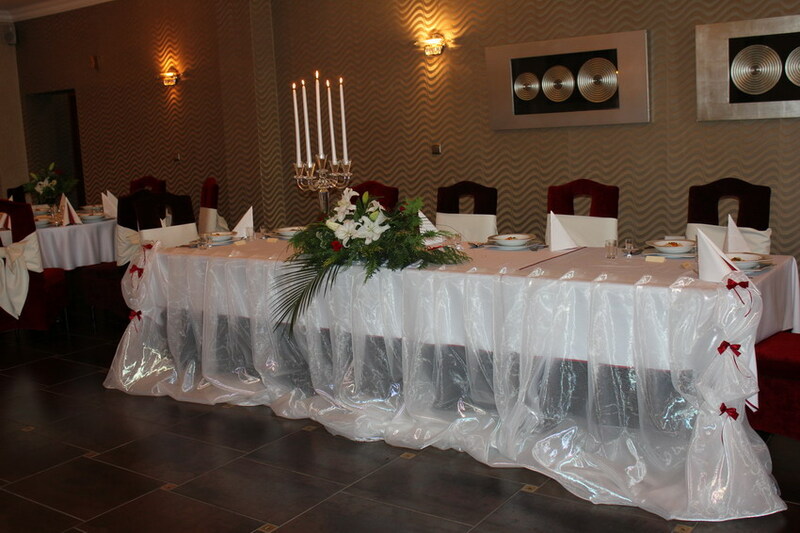 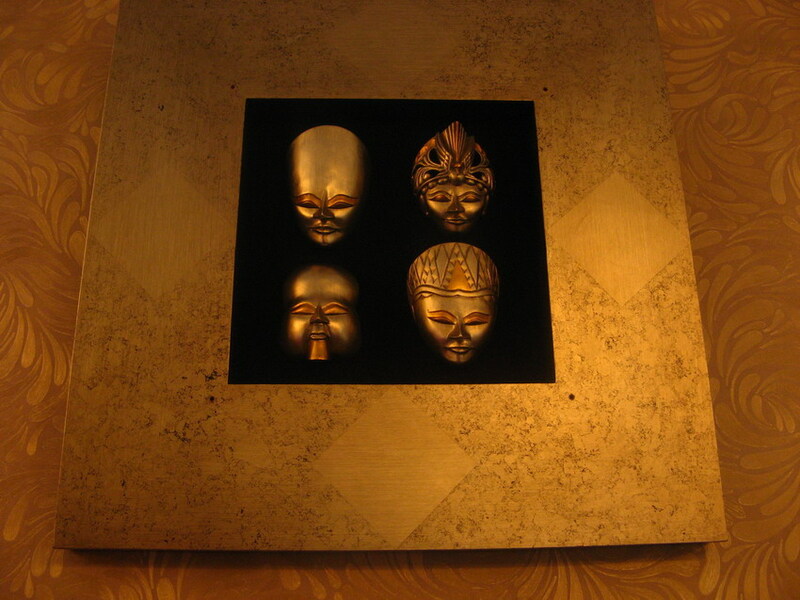 A different “island- like” table arrangement is also possible. 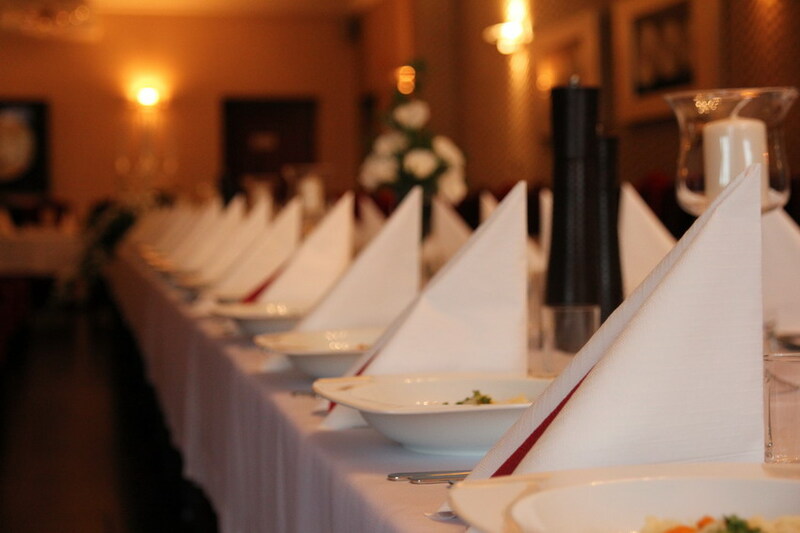 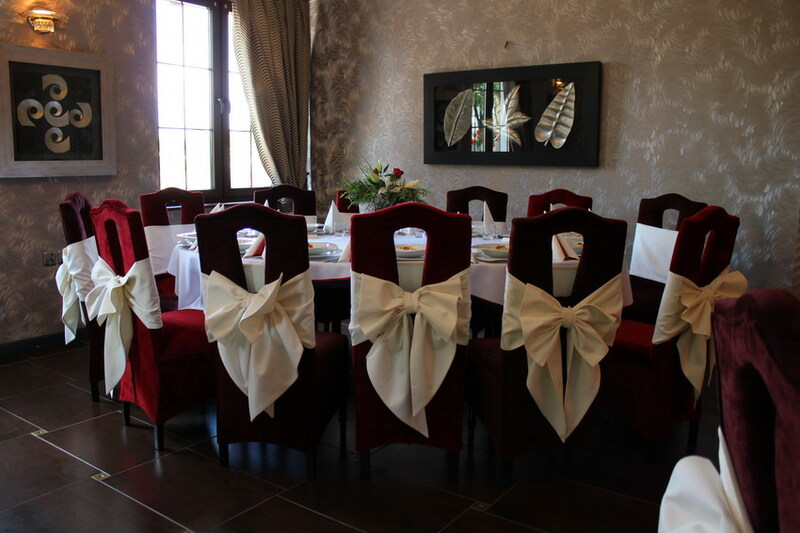 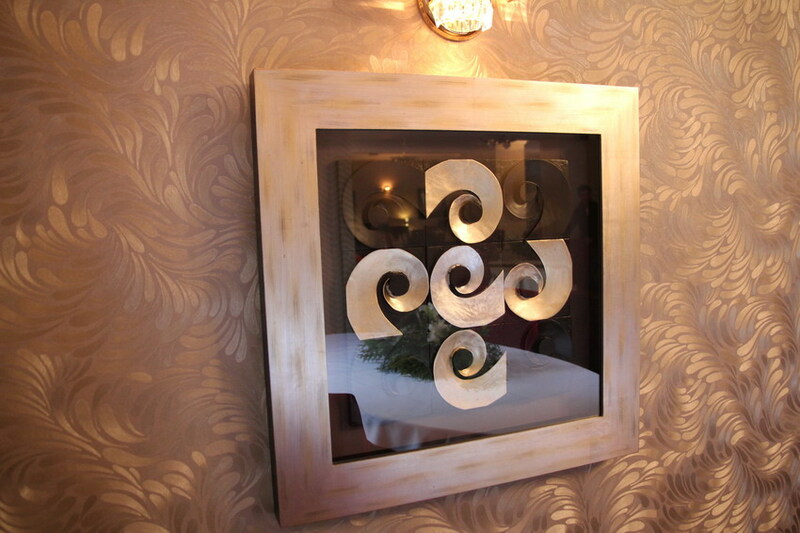 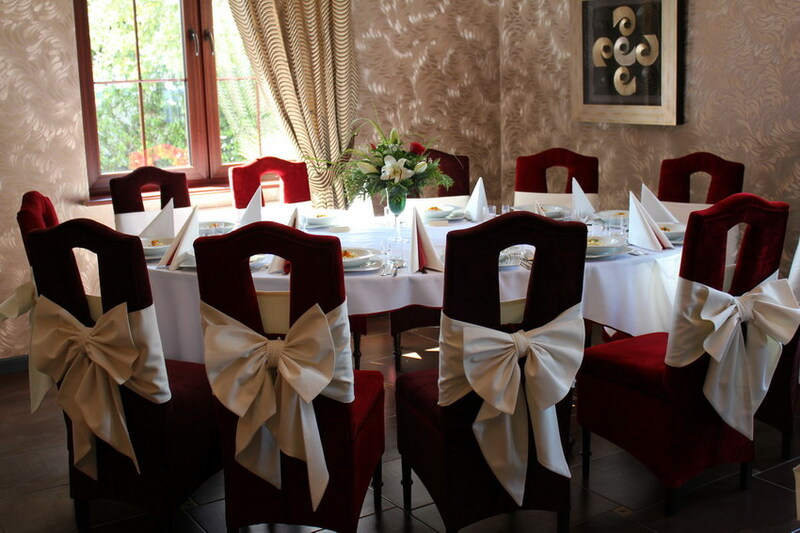 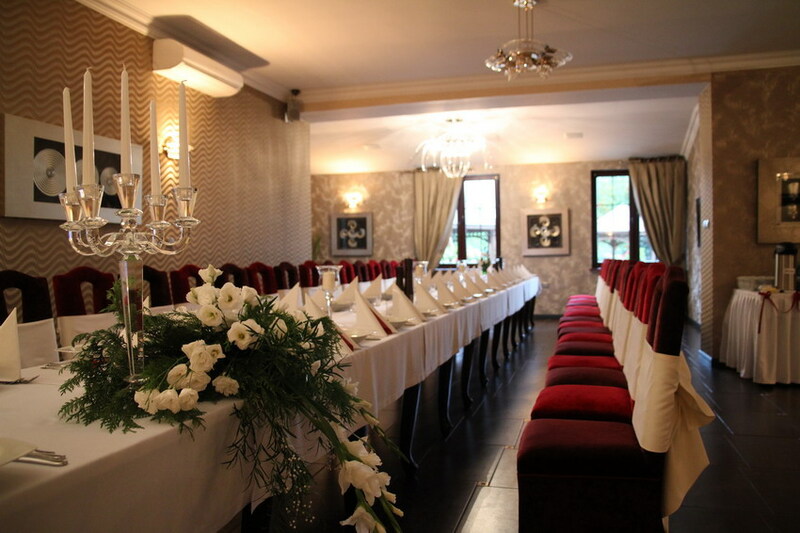 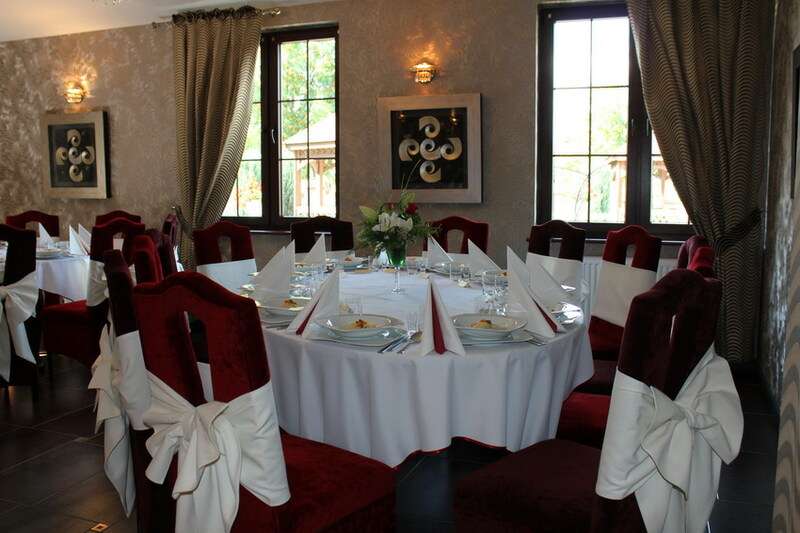 Using our restaurant facilities is an excellent option for larger private and corporate gatherings (e.g. 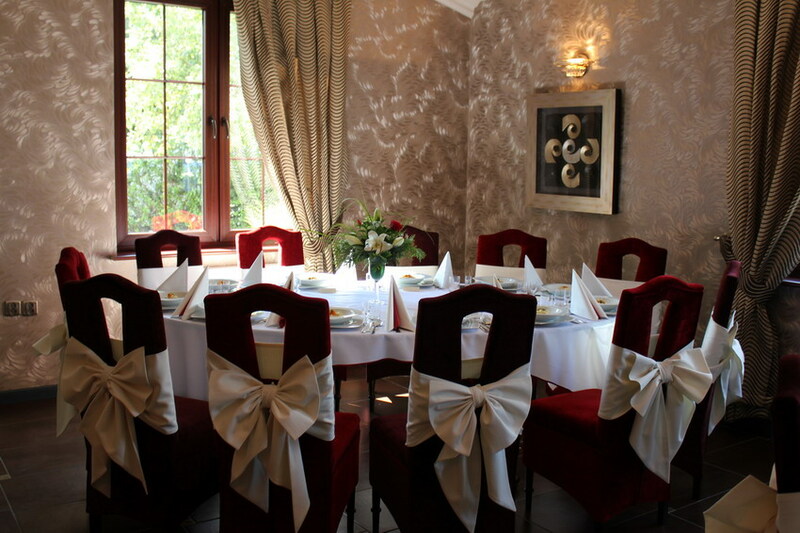 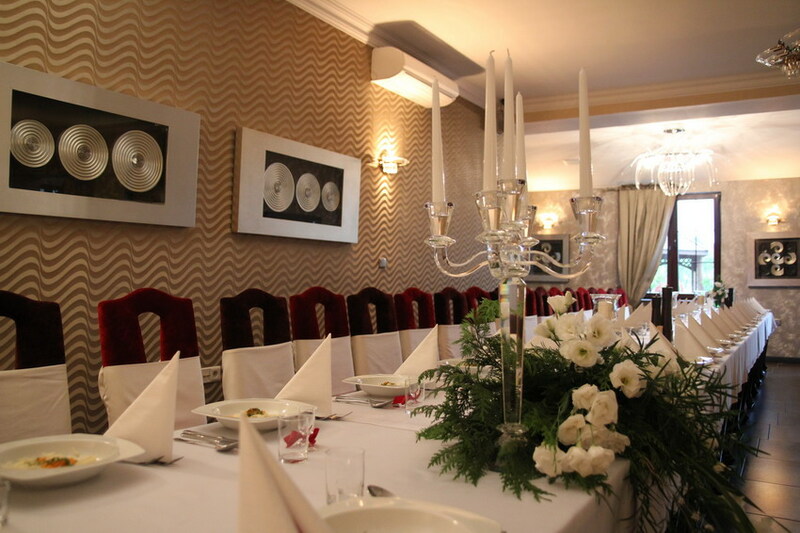 wedding receptions, post wedding parties, First Communion dinners, staff training courses ), as well as a for family dinner or a night out for two. 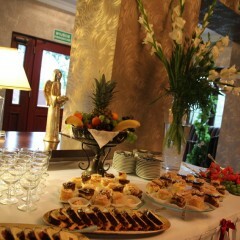 Please, feel free to look through the video material from an event that took place in our restaurant.